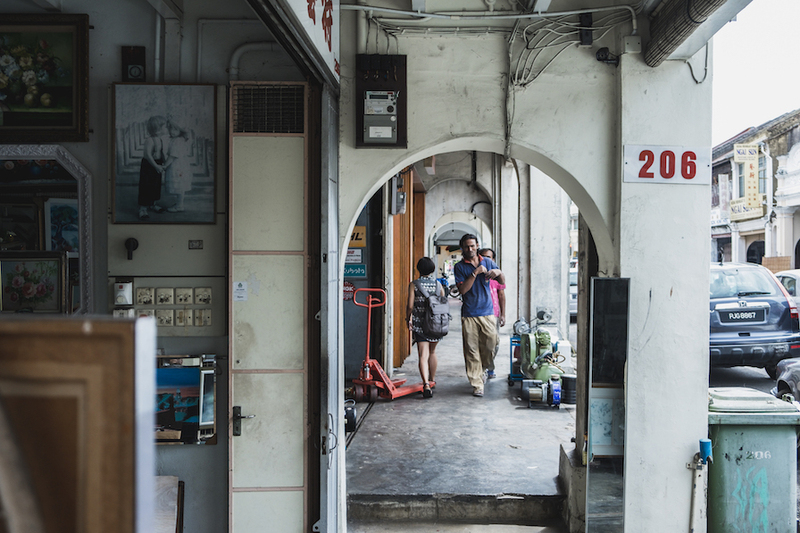 Finally, I have the chance now to curate the whole story from Penang as a travel journal. It’s been a while until we can catch up to this Penang part. 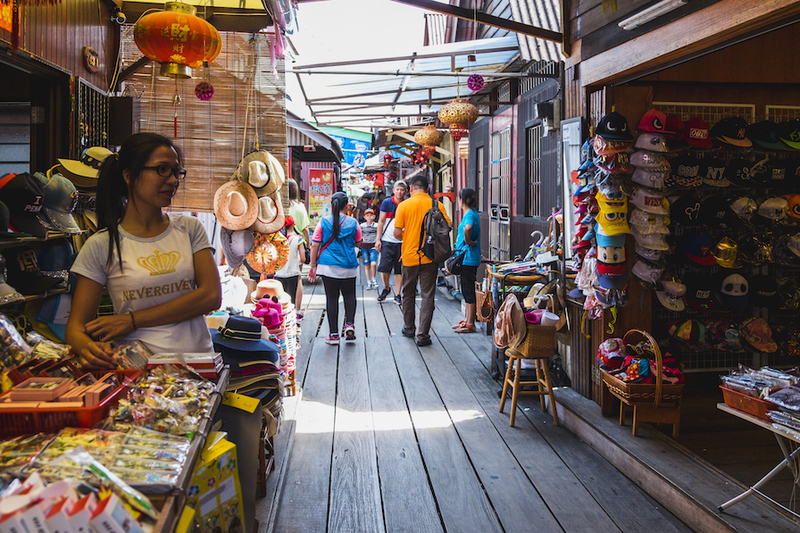 Anyway, have you watched some kind of advertising on your television or some videos or banner or whatever online that has this tag, “Malaysia truly Asia…” with some musical tone? If you don’t know, that’s one advertising from Malaysia tourism. Somehow that advertising works on me, sort of goes into my head and stays. Maybe it’s true, that the media brainwashed us through advertising. Sometimes that tone just pop up in my head, which kinda gets me to travel to Malaysia again. 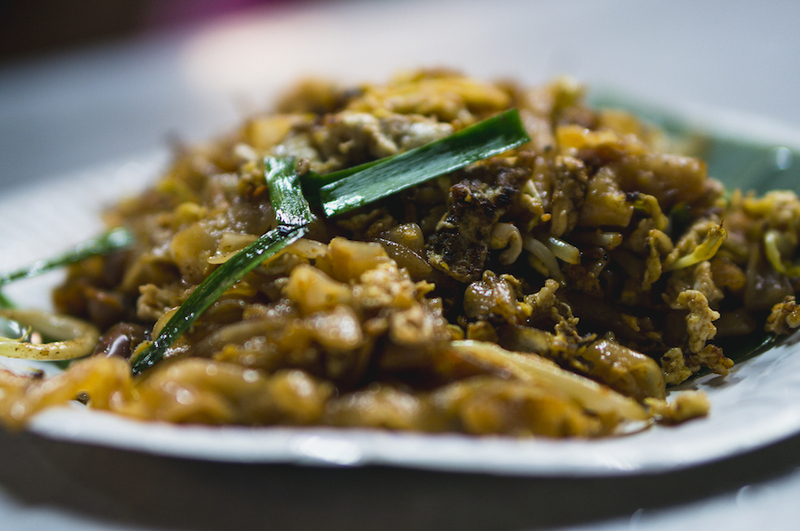 This time, their precious gem, Penang. 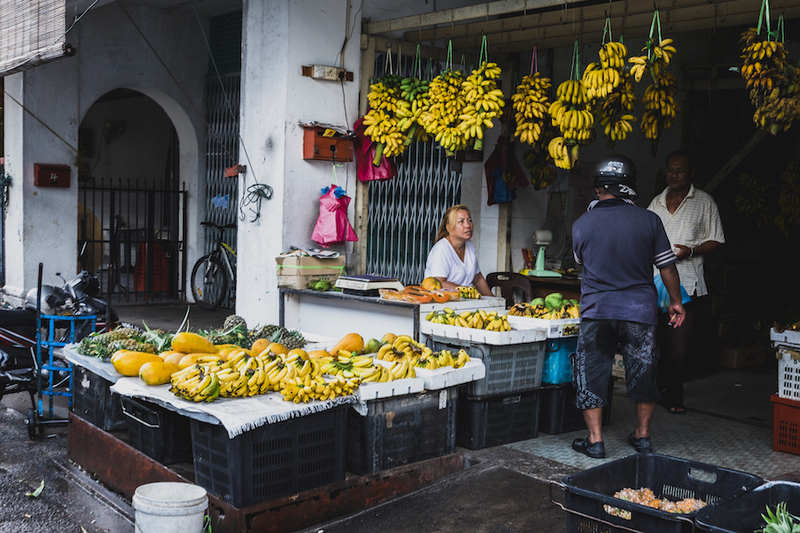 Penang or usually called “Penang Island” (Pineng) is an island state on the northwestern coast of Peninsular Malaysia. 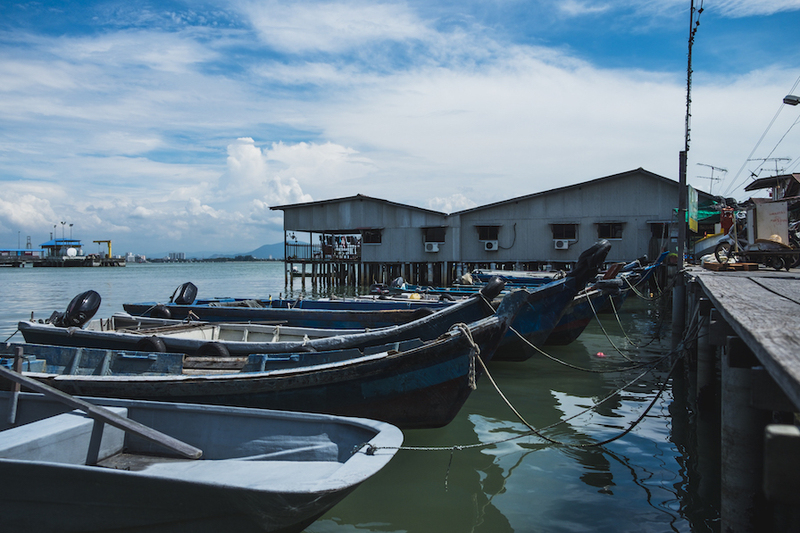 There are 2 islands of Penang, one where the capital city of George Town is located, and some part of mainland peninsula named Sebrang Perai. 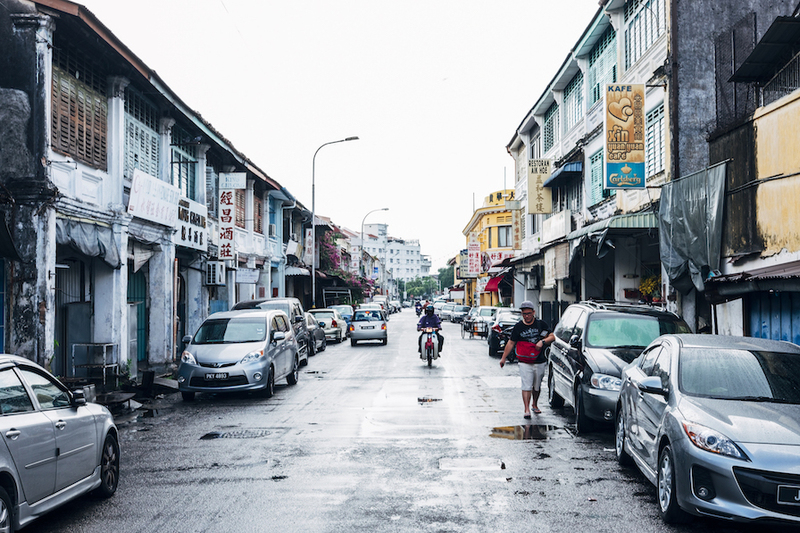 Penang being exotic as it could be is also famous for their multicultural history dating back to the beginnings of British colonization in the 18th century. 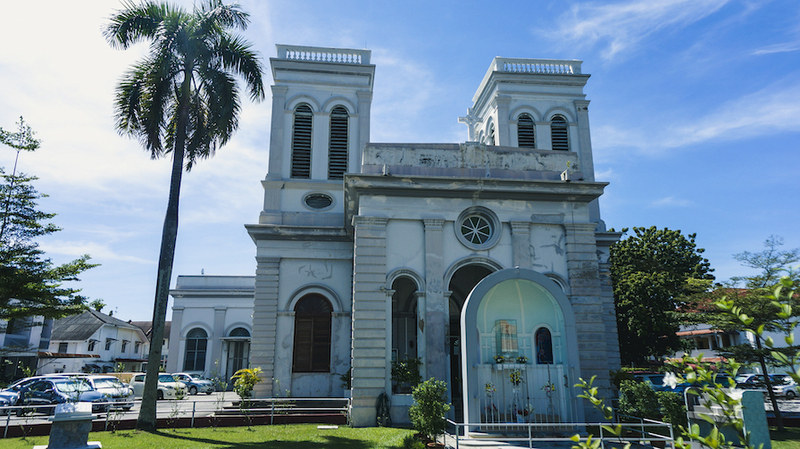 Rich with Malay, Chinese, Indian, and European influences. 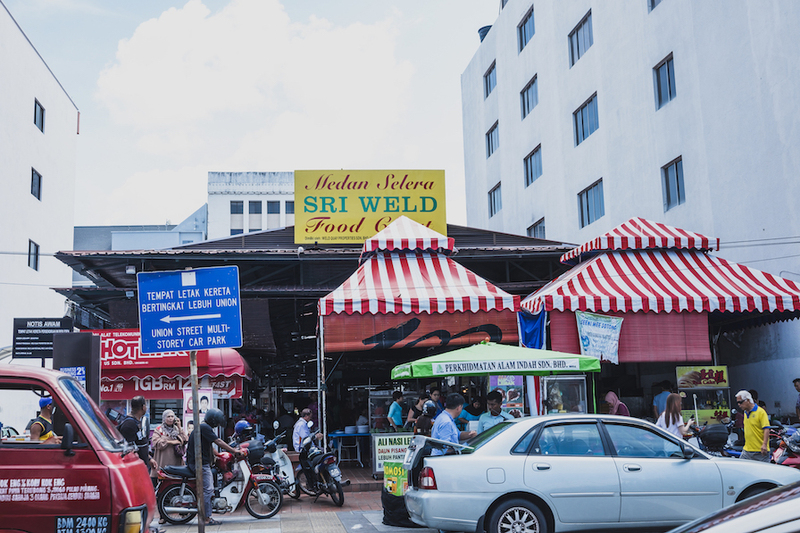 It is very very well known as a “Food Paradise” of Malaysia. 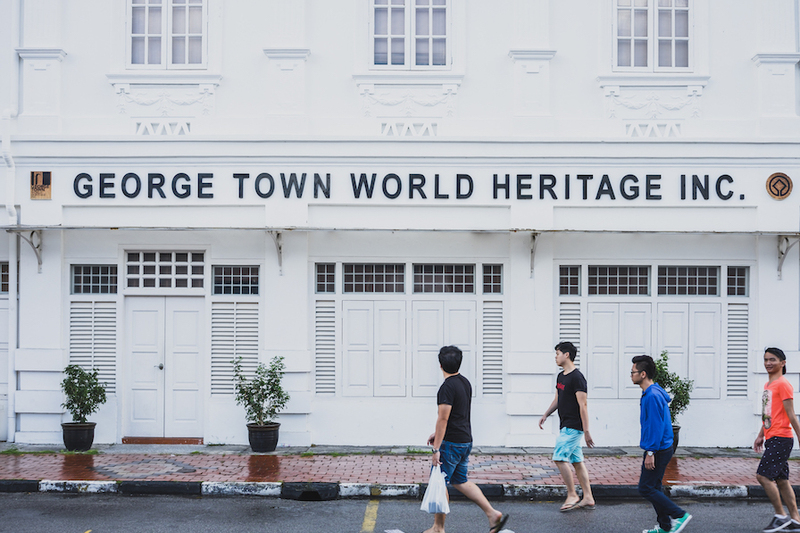 Even the capital, George Town listed as UNESCO World Heritage site. I don’t recommend taxi here, though. They don’t use meters. 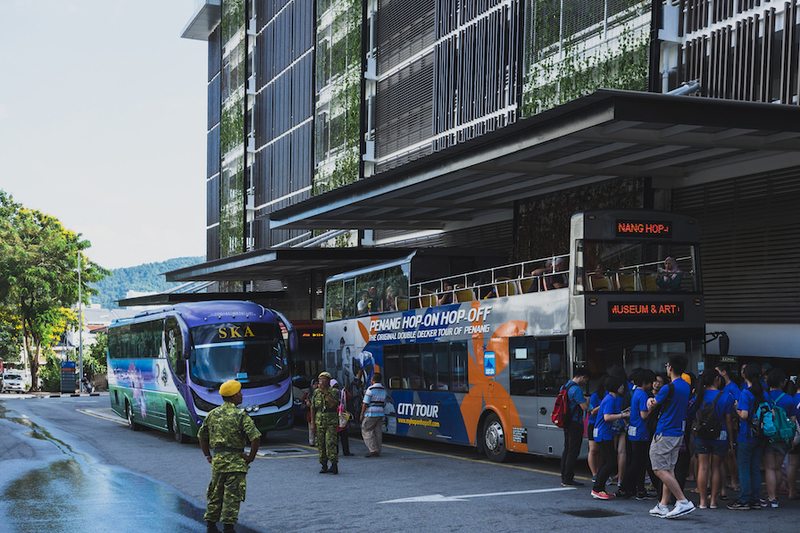 There is another bus alternative, Penang HO-HO (Hop On Hop Off) service. 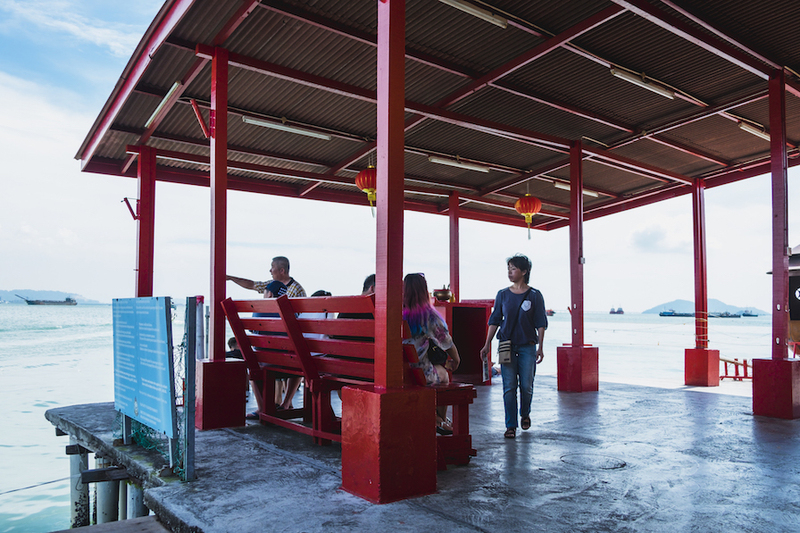 Basically, you buy ticket one time for some period of time of your preference, and you can just hop on or hop off anywhere along the bus route in Penang. 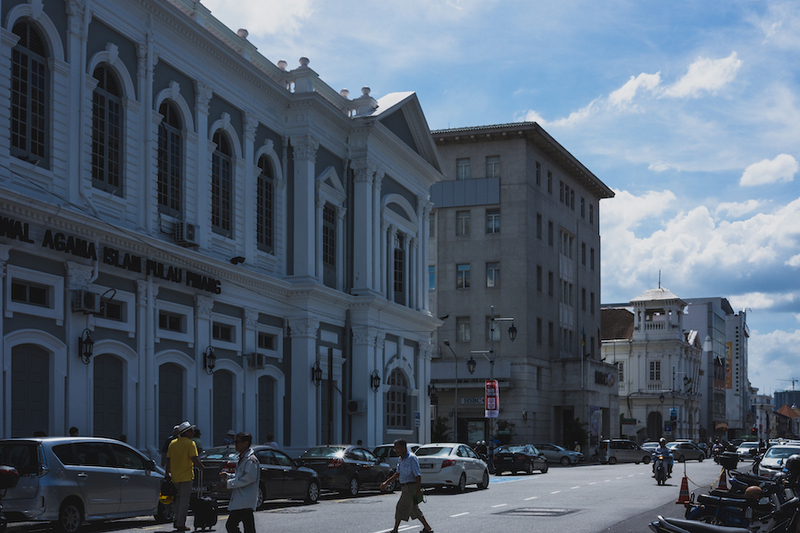 We compared our itinerary, still, we go with Rapid Penang as it is more relevant to our plan. Compare yours! This is where we stayed during the whole trip. Chulia Mansion as its name, located at Chulia street. This is their main street for tourists, I guess? 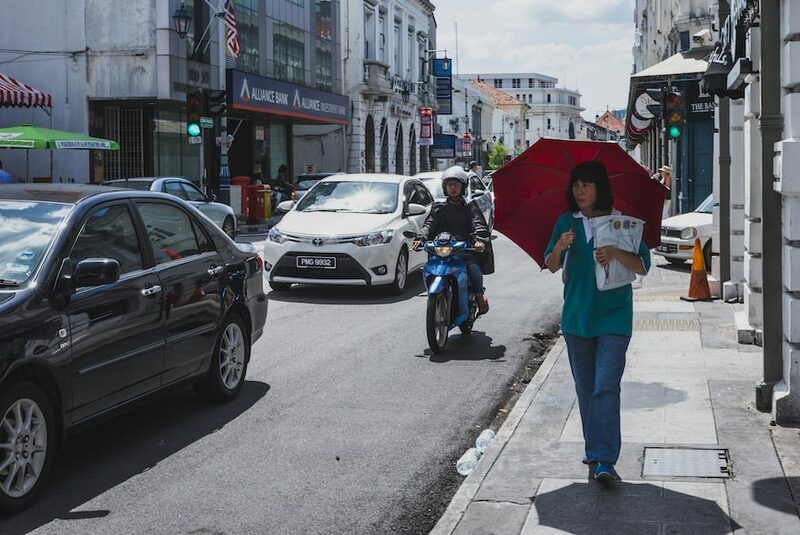 It’s their busiest road in Penang. I’m sure they are busy, I’ve walked through it every day. 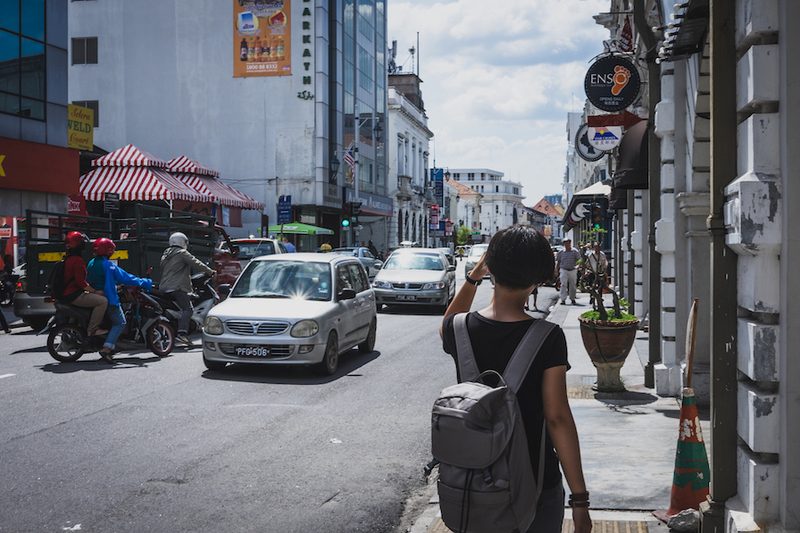 It’s the center of budget accommodation as well, you will find lots of backpackers or budget travelers around this street and its neighboring street. 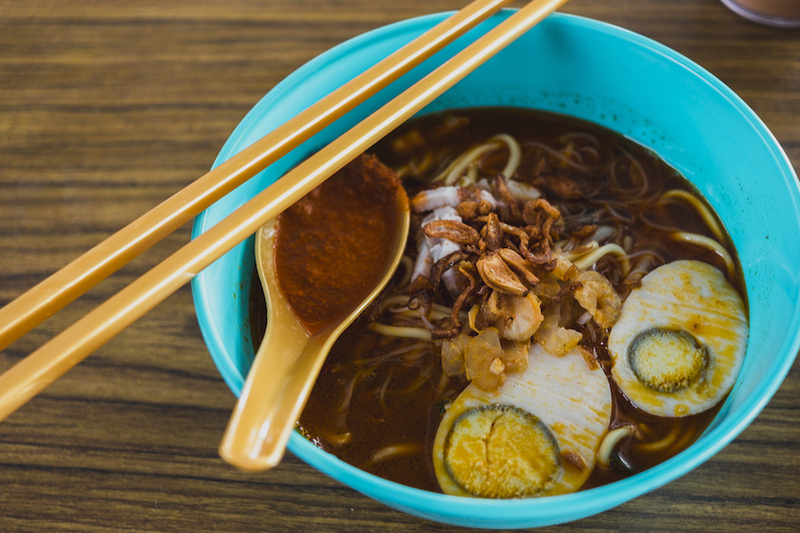 Everything you need when you travel you can find it here, hawker street food at night, cafes, bar, restaurants, launderettes, guesthouses, travel agencies, etc. A short review for Chulia Mansion will be on another post, stay tuned. All I can say, for now, it’s one of the best breakfast for a hotel at such a price. The location is gold. The price? It’s RM 160/night. The first food we try was chicken rice. It’s raining pretty hard that afternoon. Thank God, there’s this restaurant just across the street from our hotel. 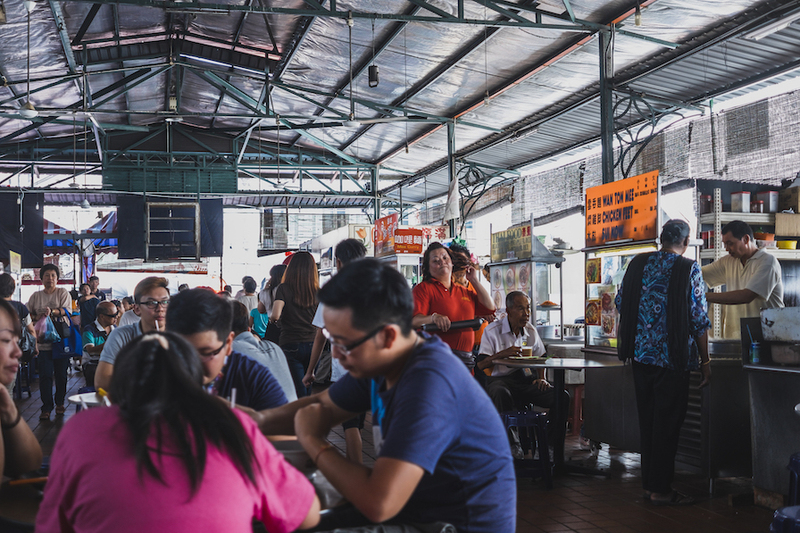 Without any doubt, we rushed to this place and get our first Penang food. Dangg, they were right, it’s really felt like paradise.  I don’t know it’s just us being hungry or it is a really good Hainanese Chicken Rice I’ve ever had. We’d do another detailed post about our culinary journal, alright. For now, it’s just a teaser. But d*mn that chicken is tender, juicy, almost felt like melting in your mouth with such a rich flavor. Yum! We waited for the rain to stop. Thank God it did shortly after we finished our lunch. 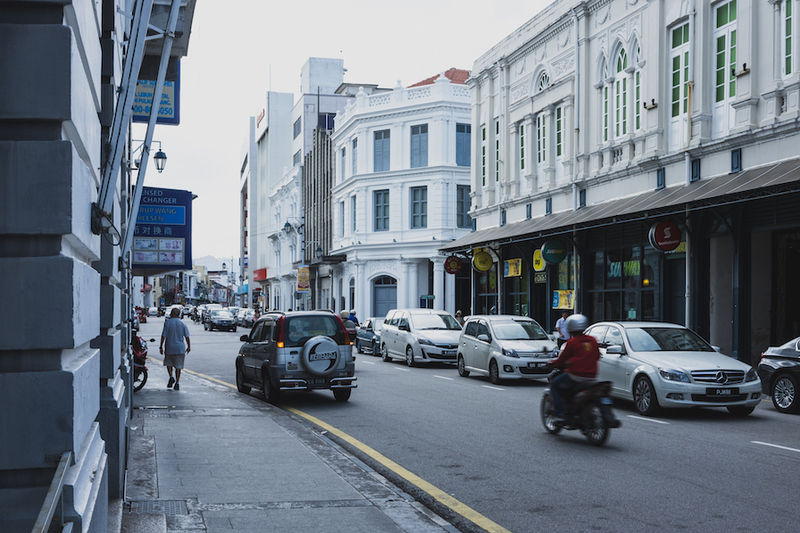 We started to walk exploring the streets of George Town. Old, authentic, and wet. 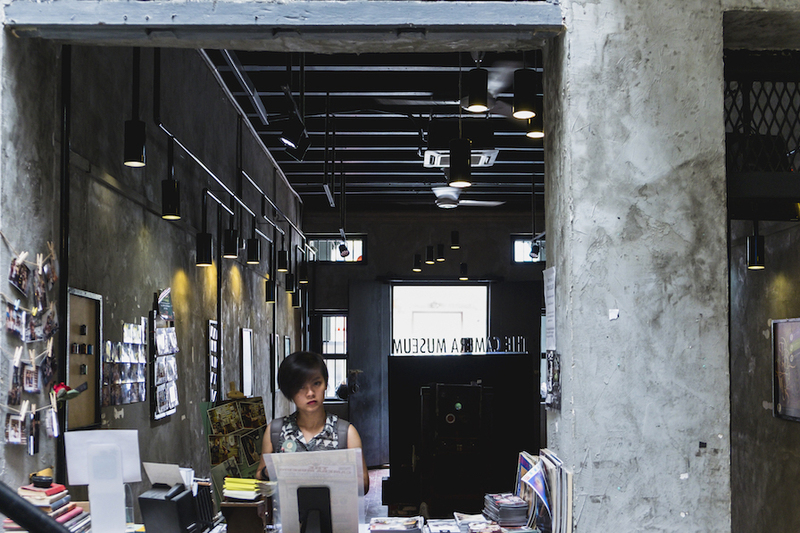 It’s a good place for street photography, though. And that’s something that we very much like to do every time we travel somewhere. 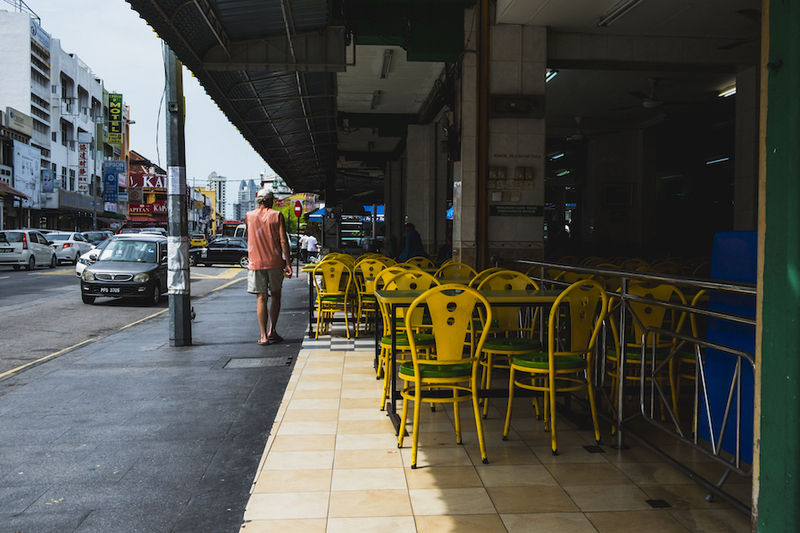 To catch daily street life of the locals. Probably you heard about the name already, Sun Yat Sen. He is the Chinese man who brings the historic China revolution, referred to as the Father of The Nation. He is the first president and founding father of China. 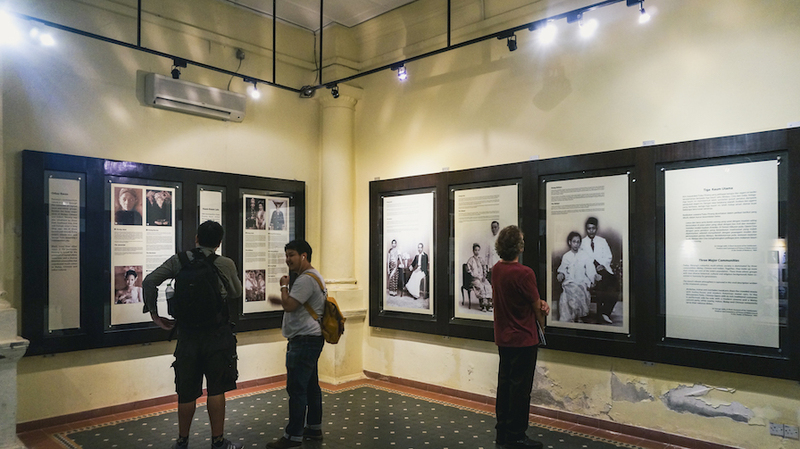 This museum is basically a preserved old house that holds a permanent exhibition about Dr. Sun famous uprising revolution plan. This is the house where he had that meeting. You gotta pay for RM 5 to enter this house. Worth it? Definitely. You can get a free drink inside anyway, a sweet herbal tea which tasted very nice (hot/cold). The house guide (forgot his name) is very kind and welcoming. He’s very passionate about the history of Chinese revolution by Dr. Sun. Oh boy, he surely is. I have to shut down my camera listening to his story because battery of course! Our first street art. Hunting begin. 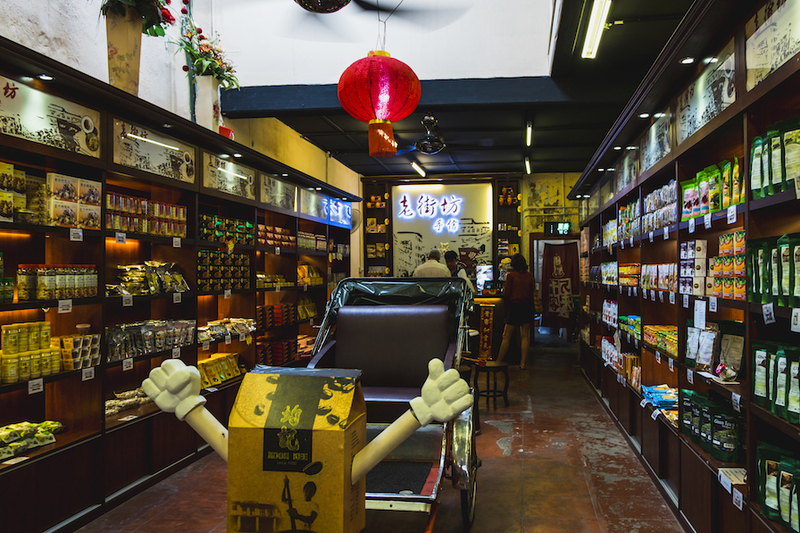 We planned to spend that day around the old town area, which is almost every tourist attractions are located. 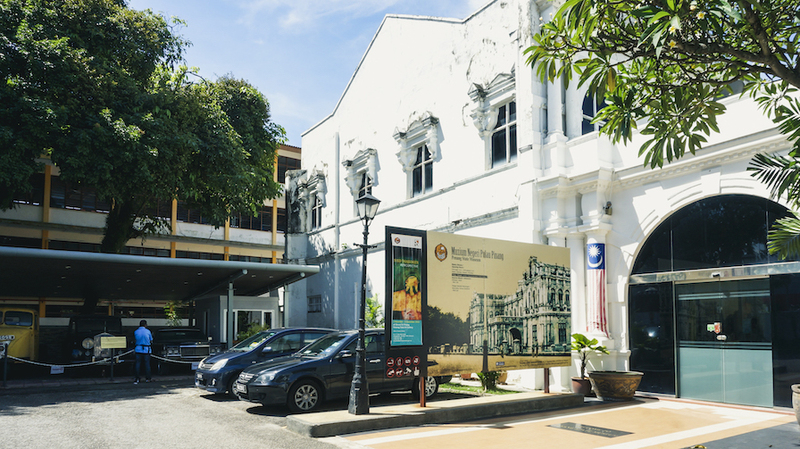 From Sun Yat Sen museum you will find an intersection with Cannon street, Masjid Kapitan Keling street, and Armenian Street. 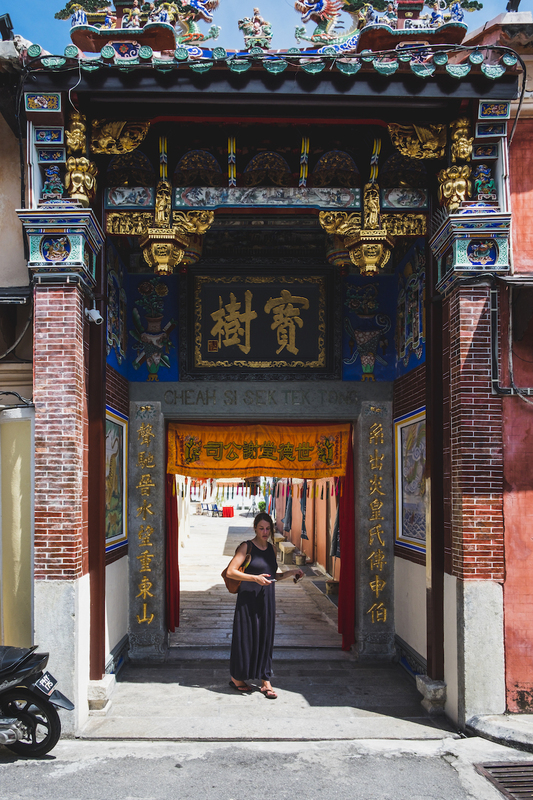 Strolling around to find a photo spot, enjoy snacks, visit temples, or just hang out at one of those cafes. 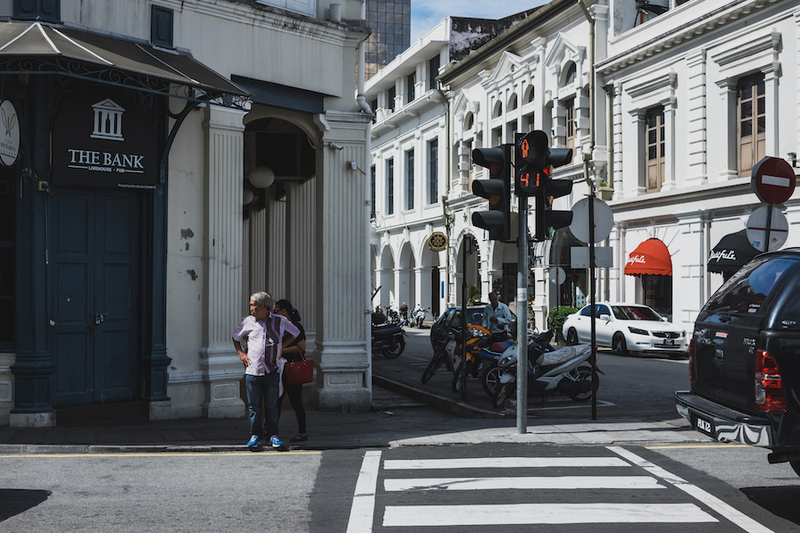 Here in Penang, it is a very common thing for tourists chasing after street arts. 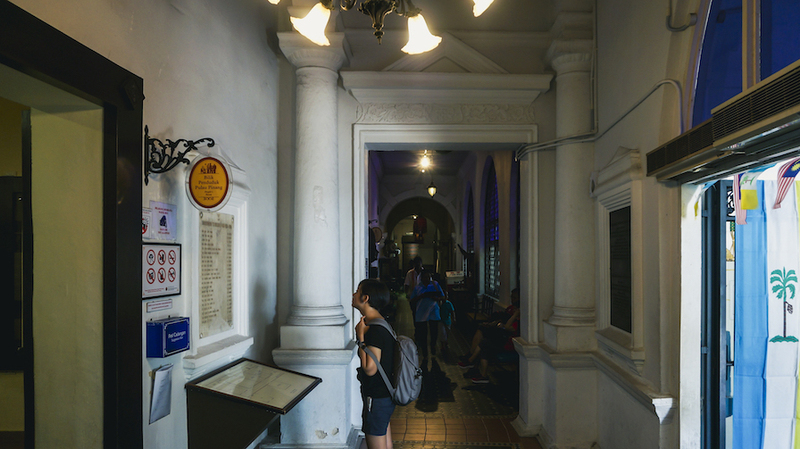 Since George Town is listed as World Heritage List, the effort to tell the rich history of the city has increased. 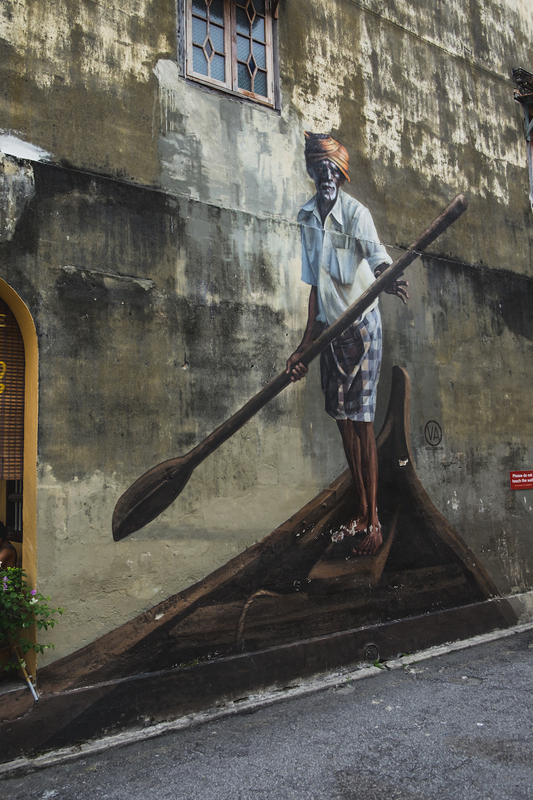 In 2012, a Lithuanian artist Ernest Zacharevic has been commissioned to paint mural street arts across the streets of George Town. 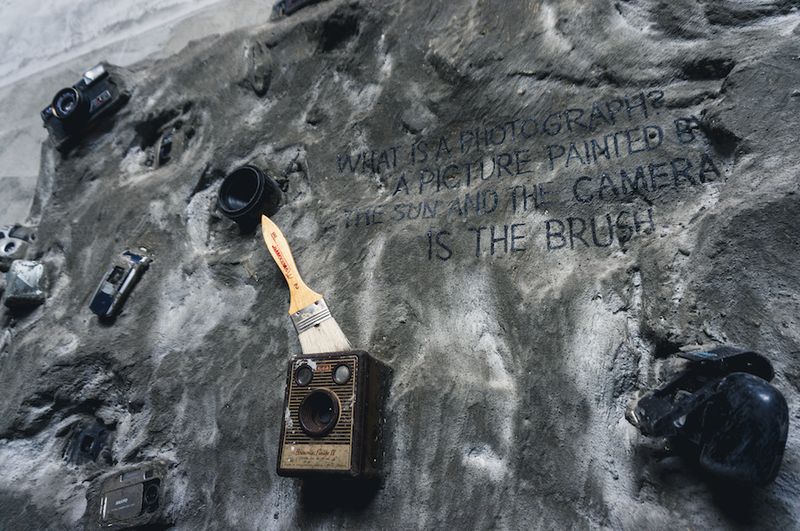 They take photo of the “Boy on The Chair” street art. 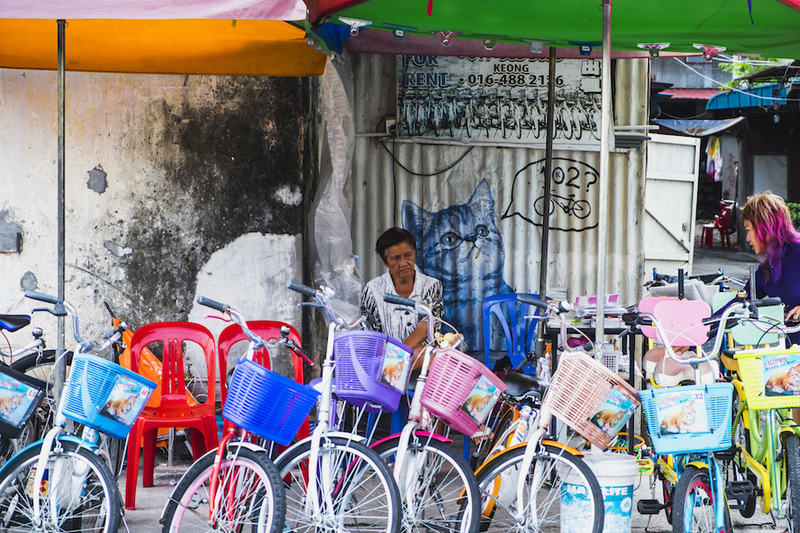 This seems to be successful, now it’s been the thing for tourists coming to Penang to hunt photo of Penang street arts. They’re everywhere, just look around when you’re strolling the streets. Most of them painted on the wall. 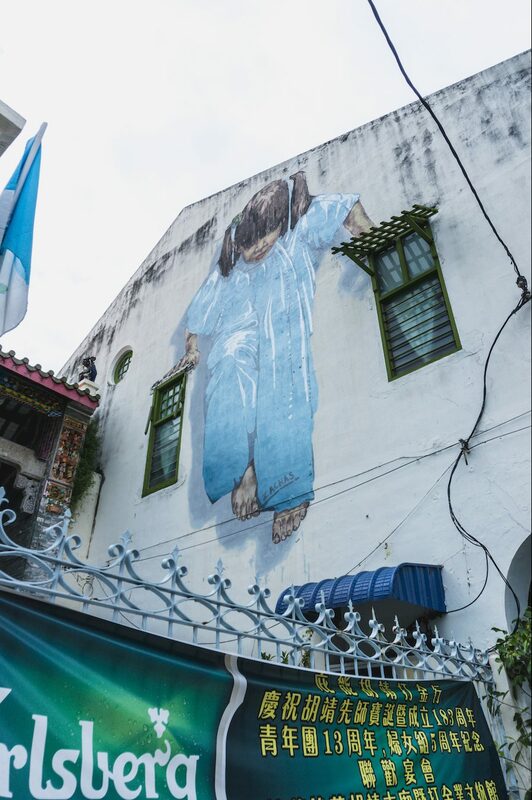 Nowadays, more and more good street art appeared elsewhere in Penang. More than we can try to find. We will try to do a specific post about the street arts we manage to ‘hunt’ in another post since it can be quite a long one. 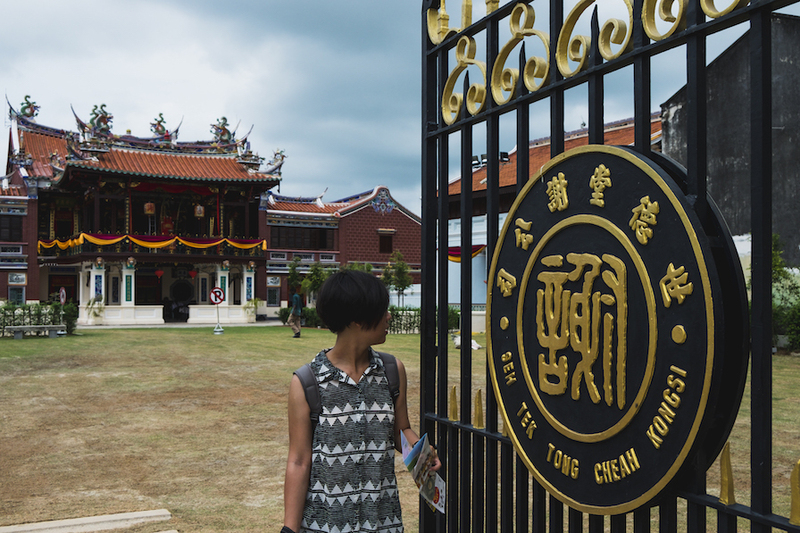 Khoo Kongsi temple is also a famous one for visitors. It has a really great detail for artistic Chinese temple elements. I must say this is the most heavily detailed artistic temple I’ve seen in Penang. Located at Cannon Square on Cannon Street, definitely check this place out. I will share more photos from this place later on another post. You can see some tourists hunting down street arts there. The sky seems not cooperating that afternoon. It’s been quite some extreme changes from hot to wet to hot to wet to hot to wet…. You know what I mean. This is surely annoying when you’re traveling. We didn’t pack any raincoat nor waterproof jacket, so kinda limited if it’s raining. Minutes later, the skies went all dark again, about to pour out a very heavy rain that day. 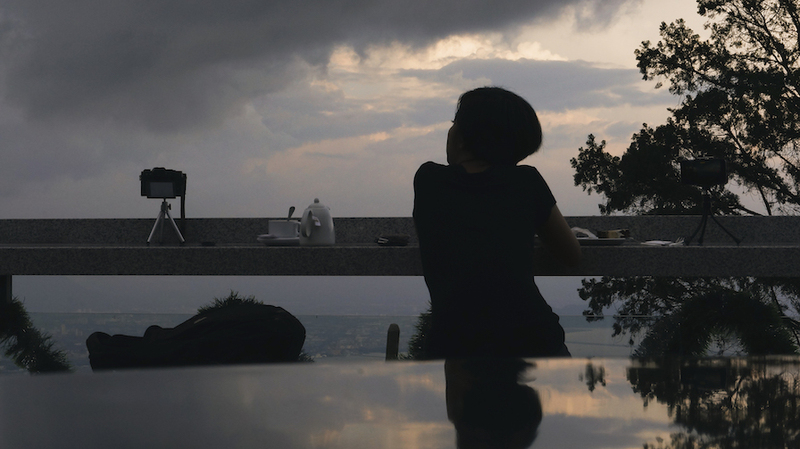 Because the sky seems cannot hold it anymore, we quickly go find a place to shelter. We had this one place called China House on our itinerary, it’s a dessert house I think. They serve varieties of cakes, desserts, drinks, etc. 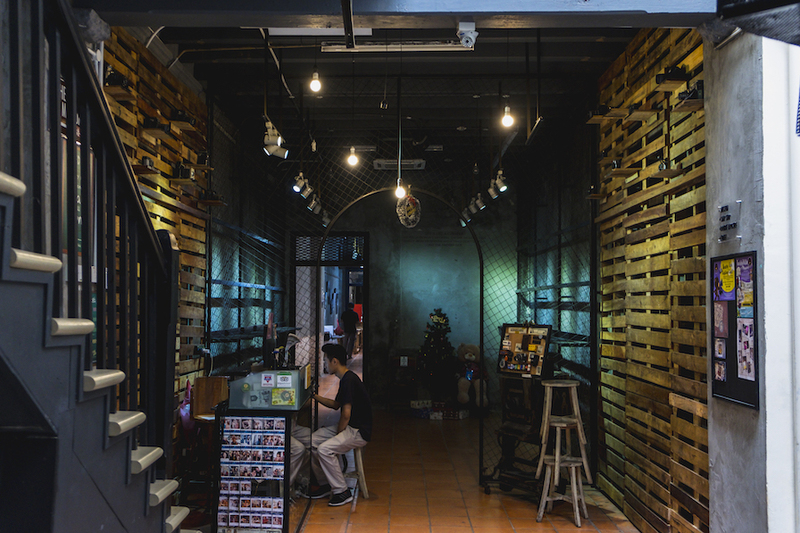 Seems like a place to hang out in Penang. It’s more like a cafe where you want to chill and enjoy sweets. This place might be heaven for sweet-tooth. But it’s not cheap, compared to average spending for food here. We spent a good RM 59.30 here for a Salted Caramel cake, Chocolate Orange Butter Cream cake, Mint Lime Cranberry, and Iced Latte. RM 15 for each cake and RM 10 for each drink. We spent almost 2 hours here waiting for the rain to stop, it’s been a heavy rain. But… One thing that I expect, the sunset! If it’s raining late afternoon, usually a beautiful light will cast out of the sky. It’s just how things are, after the rain, beautiful sunset. Next time you travel, pay attention. Old town, old buildings, sunset after the rain. Perfect day! We’re planning to go back to the hotel for a quick nap before dinner. A full stomach makes us sleepy, yeah full of sugar. 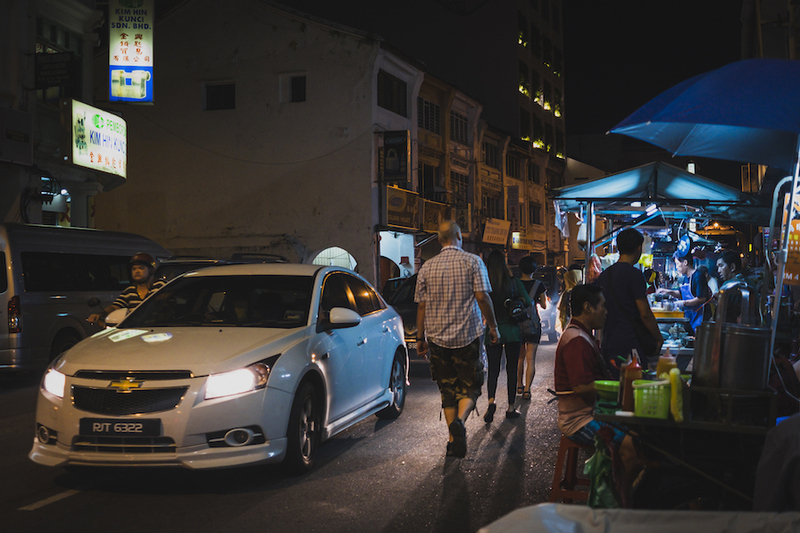 We notice how the street to our hotel seems to get busier at night with cars passing by. 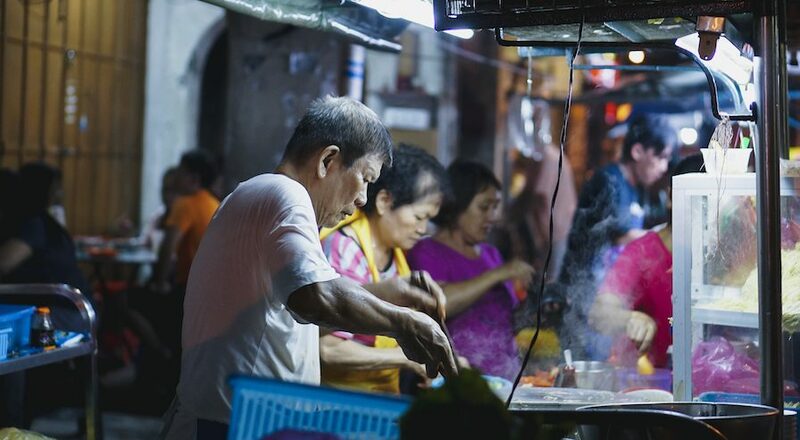 The significant difference between daytime and night time is that Hawker stalls are open and it’s only a few meters from our hotels, sweet! That evening we overslept, we thought we just wanted to take an hour nap, but…. It’s almost 9 and thankfully we stay at a good location. 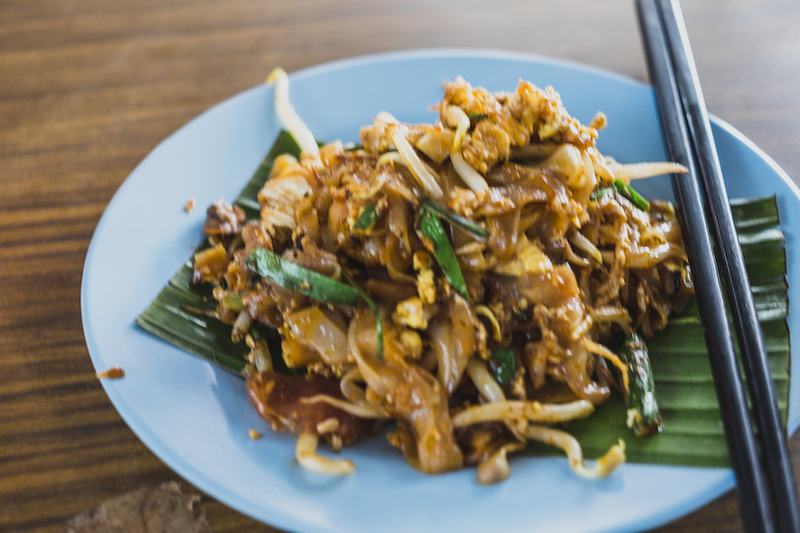 We walk a short distance to one of the best restaurants in George Town. Seriously, even at this hour, they’re packed with people. There’s a wait, too! Next morning, as per usual with our morning routine plus a very good breakfast. Seriously, this hotel has a really good breakfast, we are more than satisfied with what we get. Hahaha.. Today is the day for more exploration. It’s been bright hot since morning, so apparently, the whole day is. The first stop for today is the Blue Mansion a.k.a. 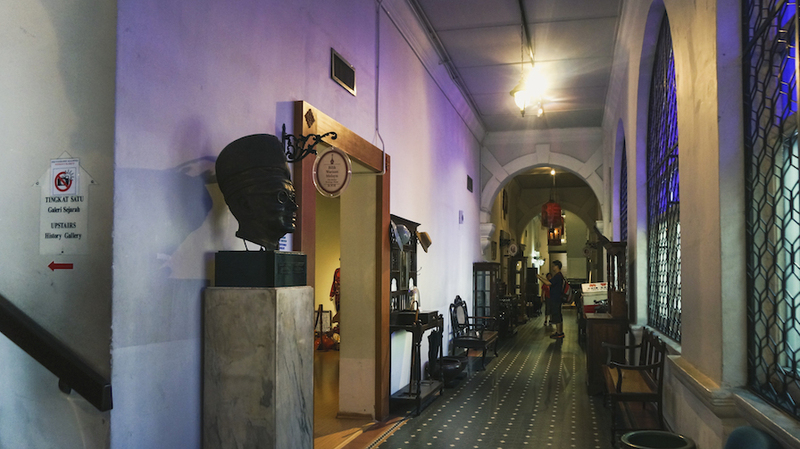 Cheong Fat Tze Mansion. Yes, it’s called the Blue Mansion because it’s painted in blue. 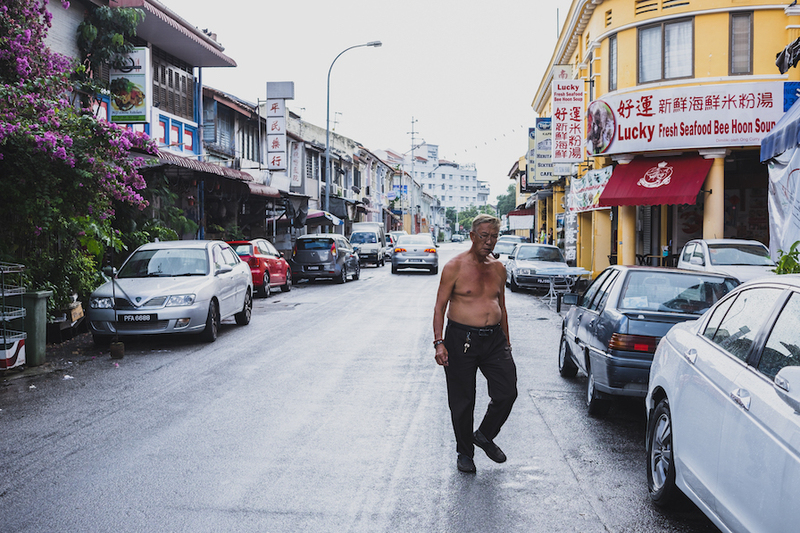 This is also a famous attraction for tourists in Penang. It is a house of a very rich Chinese man, one of the richest. More detail and photos about this mansion in another post, coming soon. You can visit this mansion with a guided session tour around the mansion. Entrance ticket for RM 17/person. Take a note that the English session starts 3 times a day at 11 a.m., 2 p.m., 3.30 p.m. Each session takes 45 minutes. You can only see inside this mansion with the session. Otherwise, they’re closed for visitation. You can, however, stay at this mansion. Kinda pricey, but who knows you’re interested. We stroll around from Blue Mansion to the harbor side for a sight-seeing. Along the way, we made a stop here and there taking pictures. Some churches we passed by with an old building. They look great and historical. Love those colonial feels. 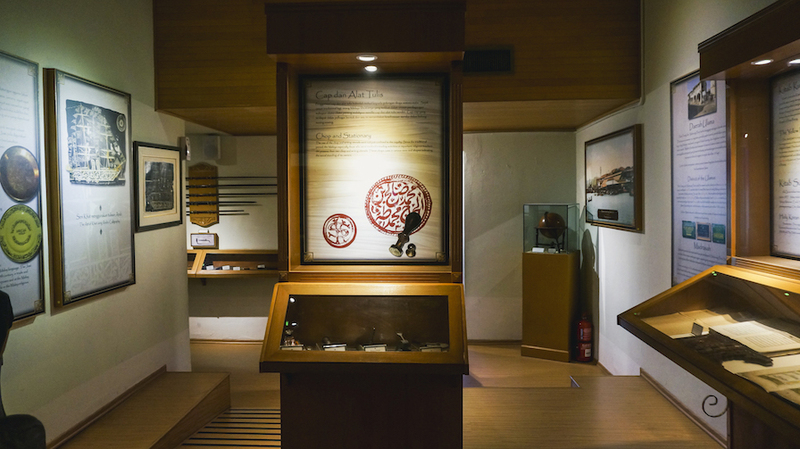 We also made a stop at Penang State Museum. 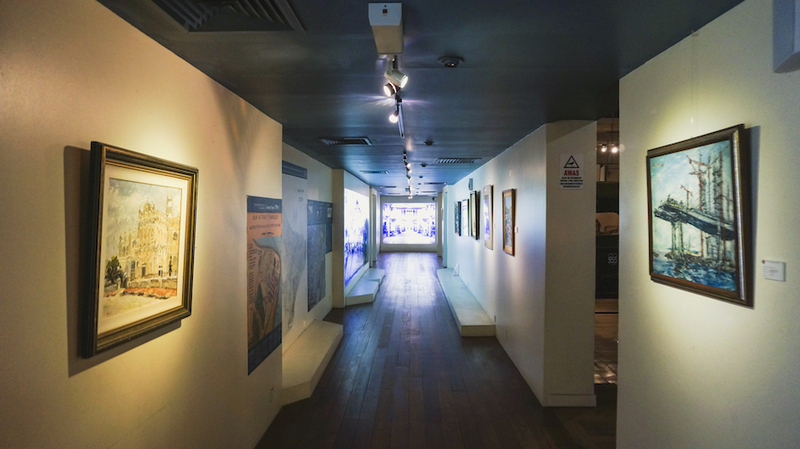 This is a pretty big museum, make sure you have enough time to spend here. We spent almost 2 hours at this place taking tons of photo. It’s just amazing to see these culture. 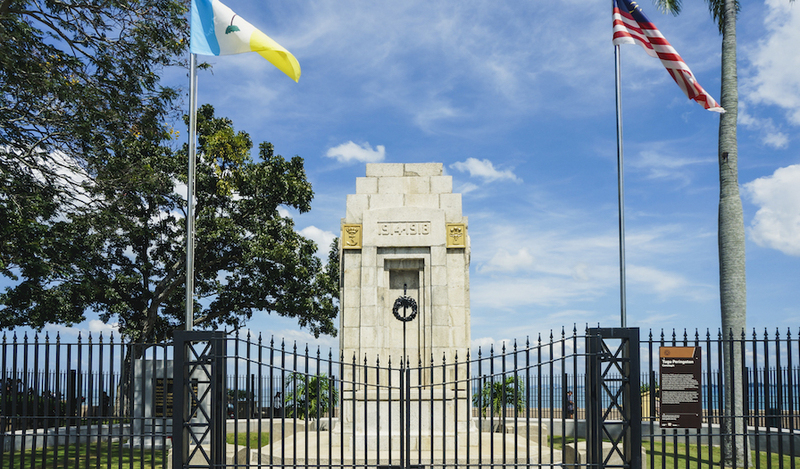 You can expect to see some historical and cultural lessons inside. All in one building. Entrance fee for only RM 1/person. That day is really hot, like super hot. All the photos taken are just harsh and really not pleasing. I sweat my t-shirt down to my pants to my balls, sticky sweaty.  We chose a wrong time to go near the beach. We get exhausted when we reach this place. We saw the town hall, the cenotaph, planning to explore around but we just can’t. Too hot to walk. So we stop and rest under a tree shade. There is a cruise ship docking at the port. Yeah cruising to Penang is a thing. 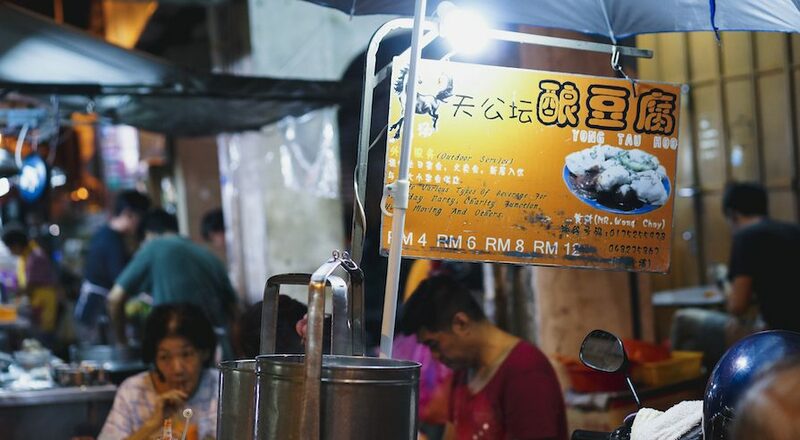 Usually, they made a stop here in Penang from Singapore. 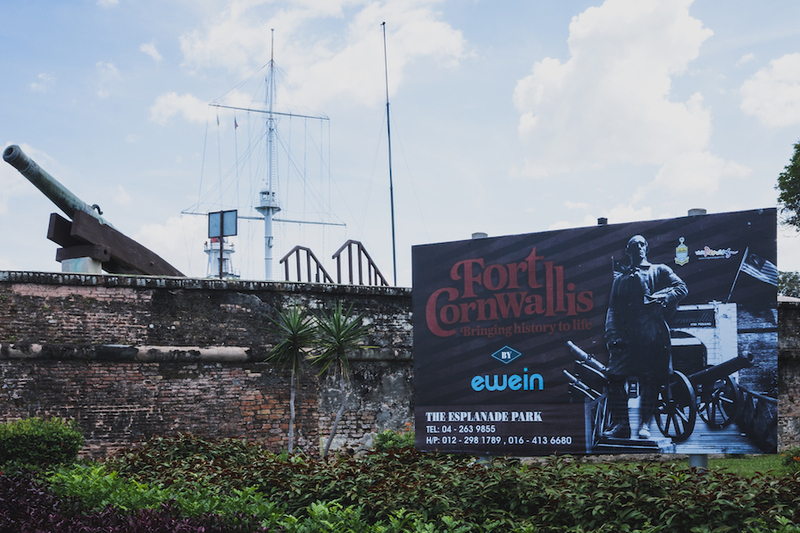 We walk to Fort Cornwallis, but we didn’t go inside because we’re starving, sweating, and hanging.  I don’t even know how to describe it. We just took a couple of photos around the fort then we go find something to eat. For RM 20/adult and RM 10/child, I don’t know if it’s worth the entrance ticket or not. Many write it’s basically nothing inside, just a simple stockade of an old defense wall with cannons. 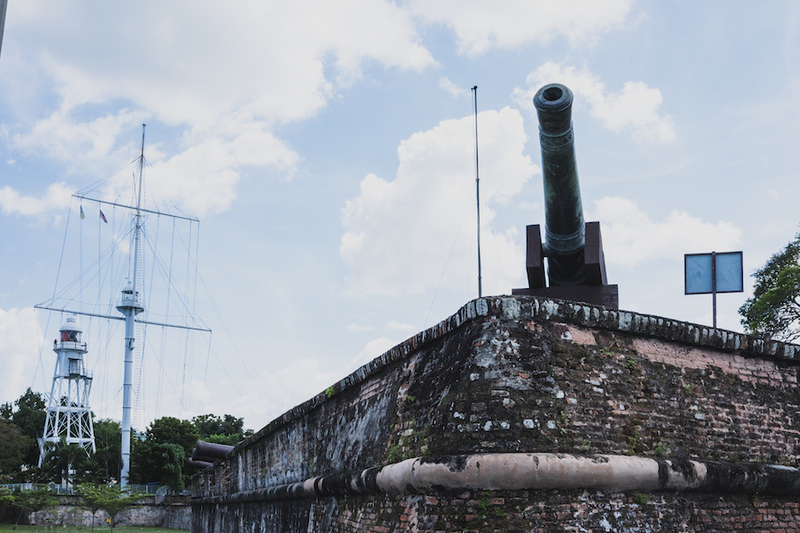 It’s a defense fortress for the trading port of British built by Captain Francis Light when he landed in 1786 at Tanjung Penaga in Malay. Just a short distance from this fort entrance, you can see the Queen Victoria Memorial Clock Tower. 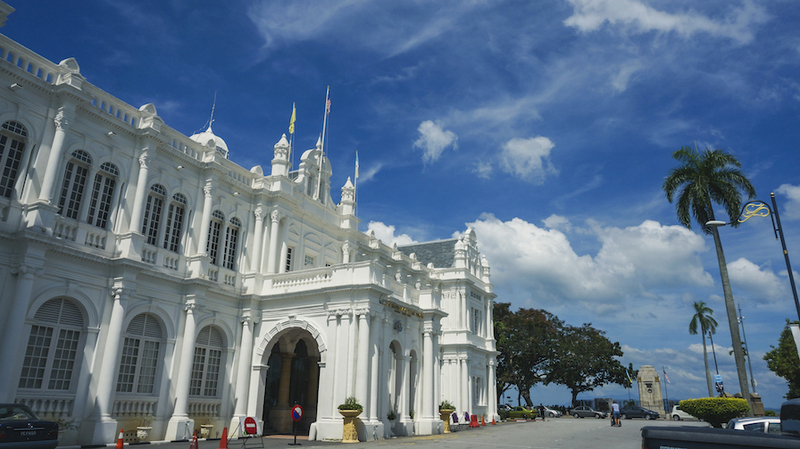 This clocktower was built by a wealthy local Penang Chinese man, as a commemoration of The Diamond Jubilee of Queen Victoria. Rumors said this is to show off his wealth to the British administrators. We took our lunch at a food court we found on Beach Street. It is a busy street with lots of people. However, the surrounding looks better. It seems like a lot of business center located around this area. 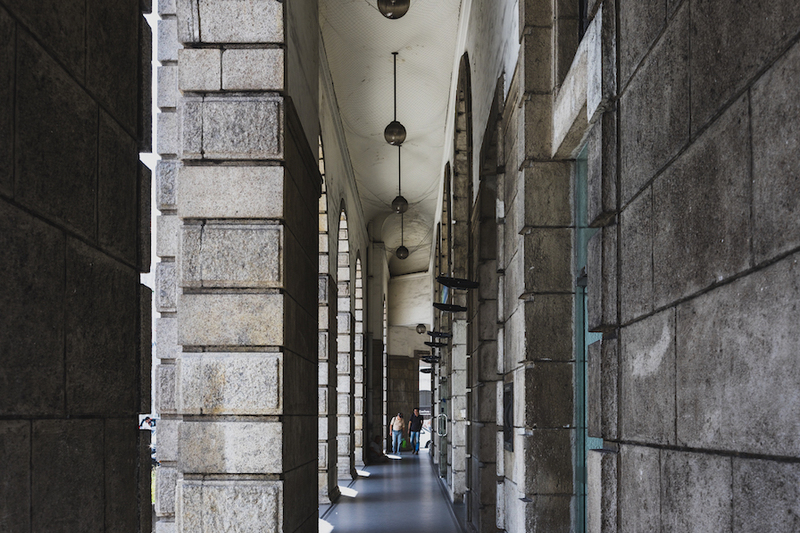 The building seems well maintained rather than those in the city center. 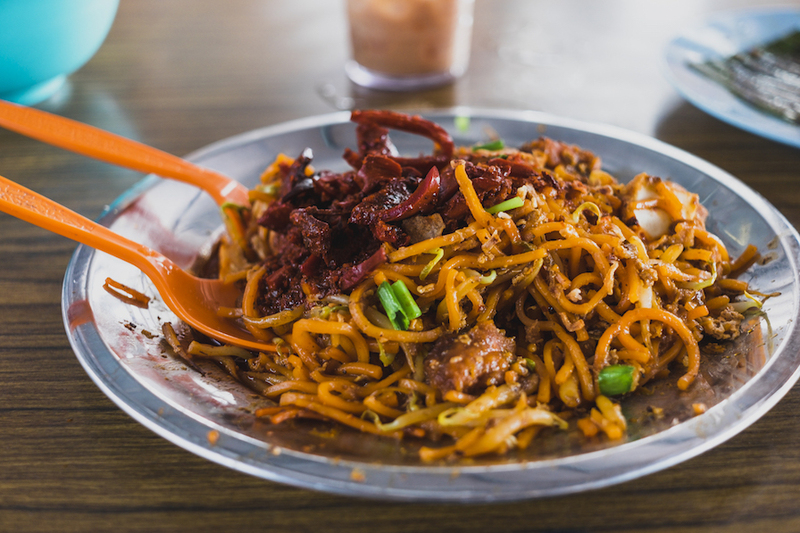 After a Prawn Mee, Char Kwey Teow, and a Sotong Mee. 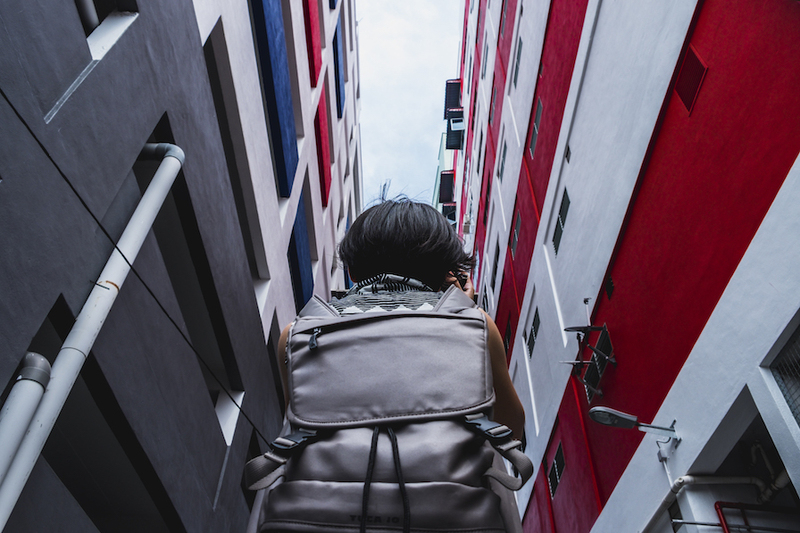 We got our mood back for another walk plus some mood to press the camera shutter on the street. It is much more enjoyable after the stomach is satisfied. I bought another data package for my Digi+ number because it ran out of quota. 1 GB seems gone in just a day and a half. That costs us another RM 15.90 each. Because it’s hot, we went inside the tourist center just across the food court. It’s a heaven… Thank God for whoever invented Air Conditioner. Might as well asking them about things we still need to figure out. 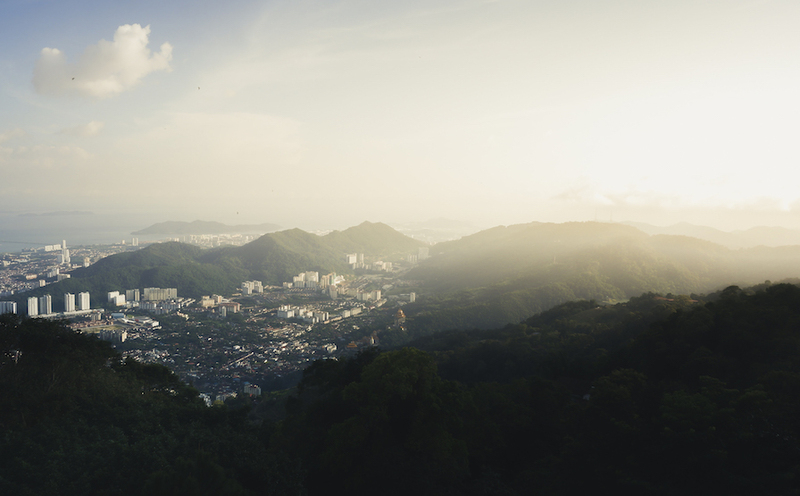 We want to go to Penang Hill for Sunset. The lady from the tourist center told us to get to the bus station not far from there, the Weld Quay bus station. From there, take the bus no. 204 going to Bukit Bendera, Penang Hill. The trip costs us RM 2/person and about an hour drive. 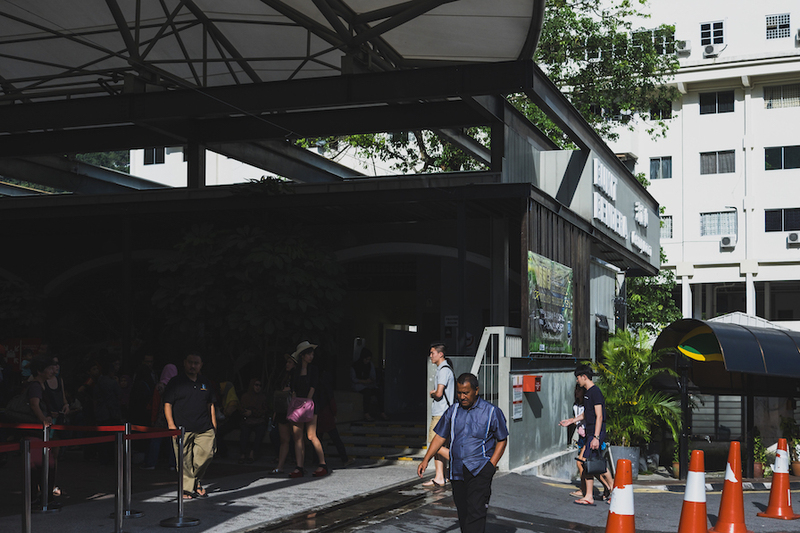 For this post, I will only share a little bit of Penang Hill. 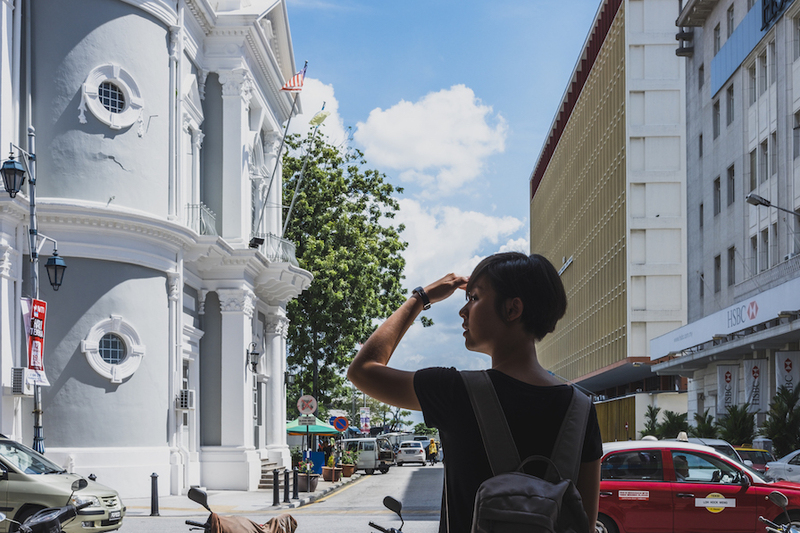 It’s quite a huge attraction for tourists in Penang so we think it’s best to put it on another single post. 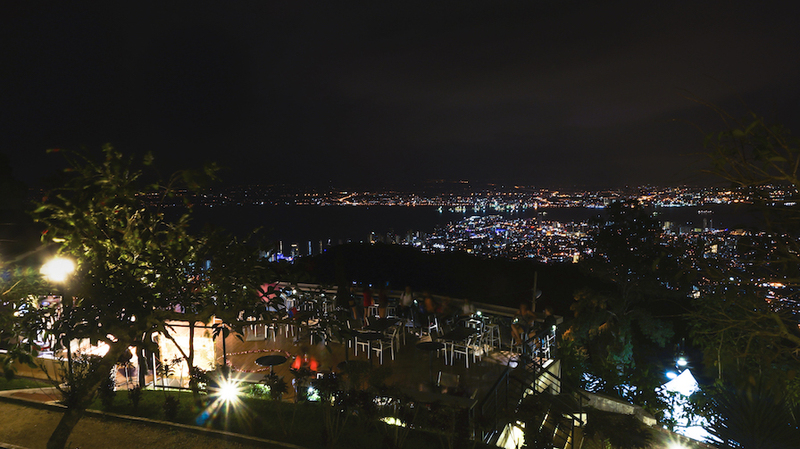 Just to know, prepare at least half a day to visit Penang Hill if you want to enjoy this place. Best time from afternoon to evening in my opinion. Ticket price RM 30/person. I think we picked a good time to visit Penang Hill as it is not so packed with tourists. I mean, there are still a lot of people but given the queue separator they set to buy the ticket, it’s a horror to imagine if (maybe during the weekend) this queue actually happening. We only queue for an hour to get into the train going up to the hill. 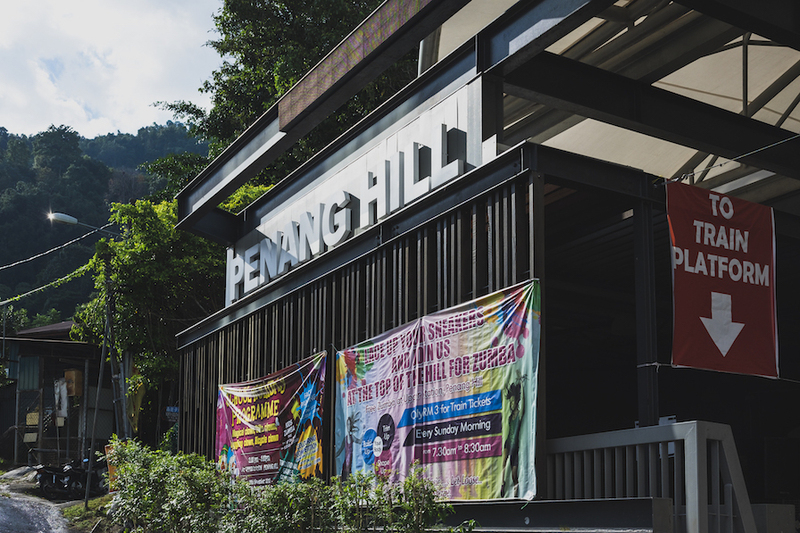 Penang Hill is the oldest British hill station in Southeast Asia. 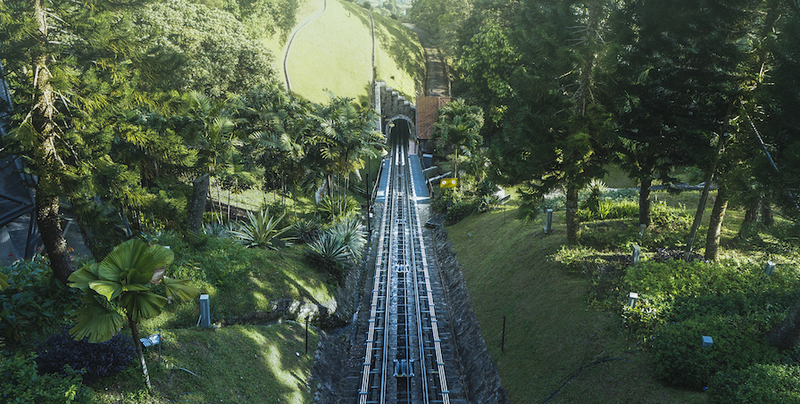 The funicular train track is the longest in Asia. 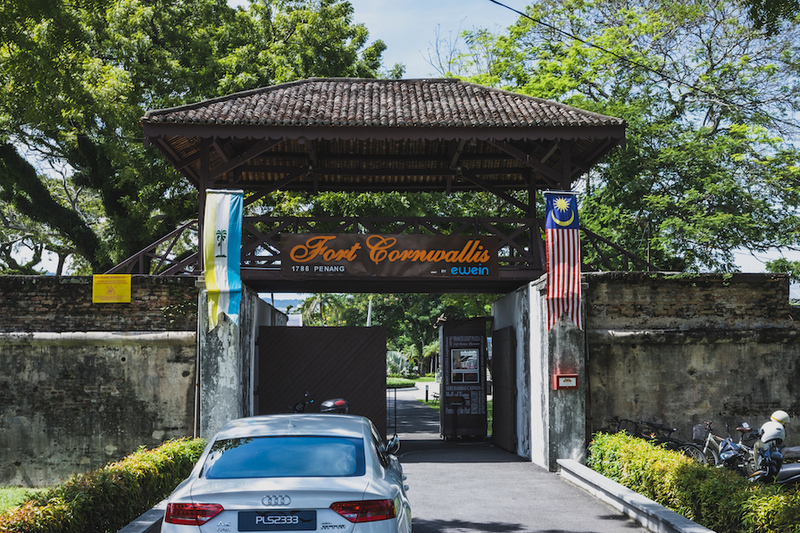 Simply worth a visit, an escape from a busy city as Penang. 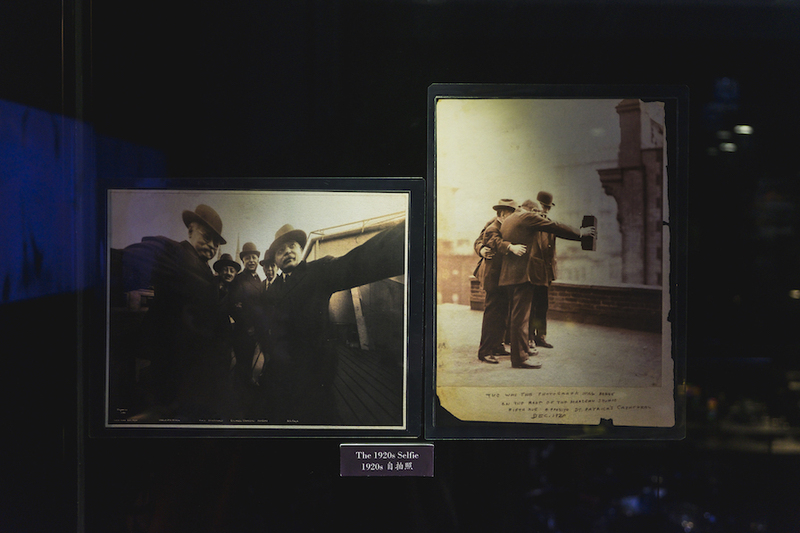 To give you the idea, here are some photos. 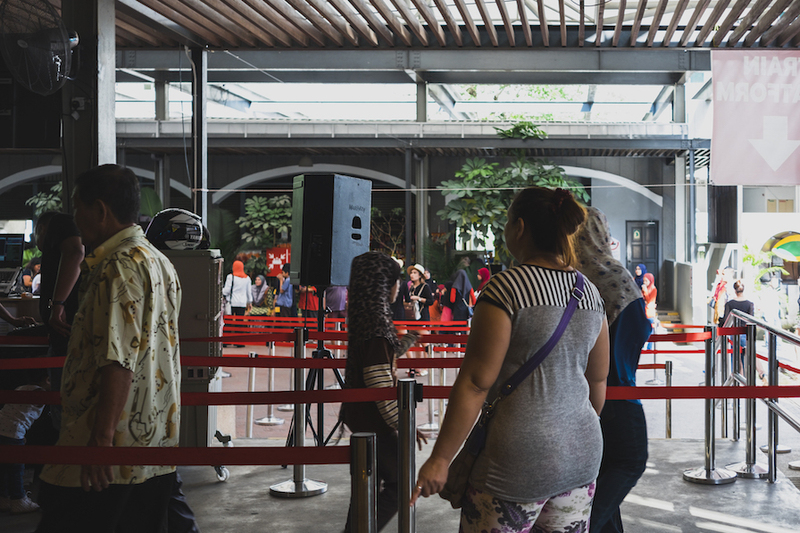 Just be sure you have enough patience to queue your way up… And… Your way down… And yes, the queue might be long. Most likely, it is. We spent the rest of the day until night at Penang Hill. 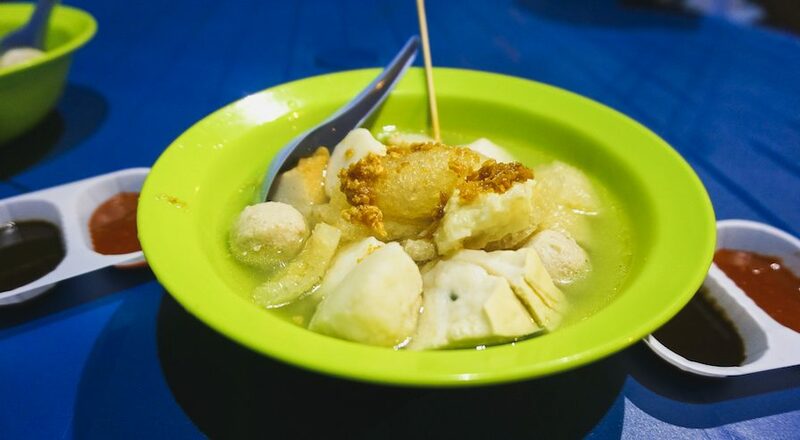 A little night snack (depends on one’s definition) from hawkers street food at Chulia street to end the day. Legit! Our third day was dedicated to ‘hunt’ as much as street arts we can find. We, of course, had prepared and did some research for the street art location. Some of them have already seen when we strolling around the previous days. We thought on working days, it will be fewer tourists so we can take better photos. Boy, have I never been so wrong. 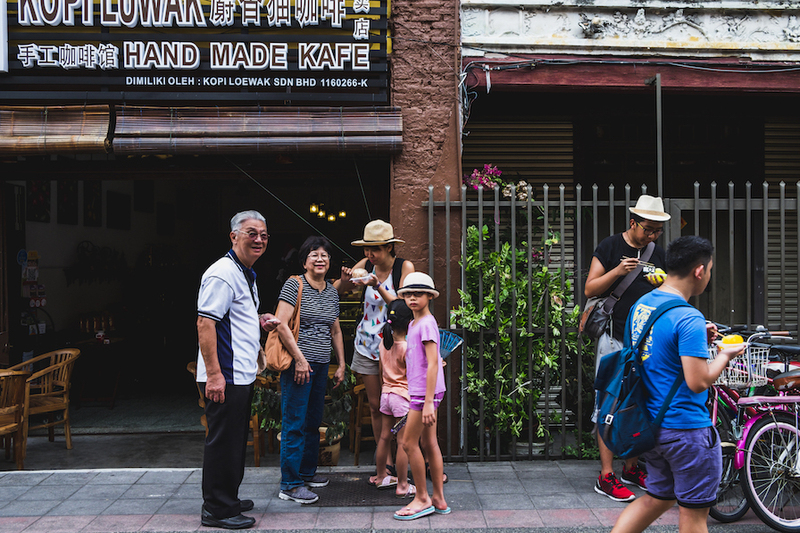 Penang is always packed with tourists. A lot of them are hunting the street arts, too! Some street arts are worse, you have to queue with other people just to take a clean shot. But don’t get me wrong. It’s like a quest here, with all the fun and sweat. We get the hype, though. It’s kinda fun yet challenging to find at least the famous street arts, those painted by the Lithuanian artist, Ernest Zacharevic himself. 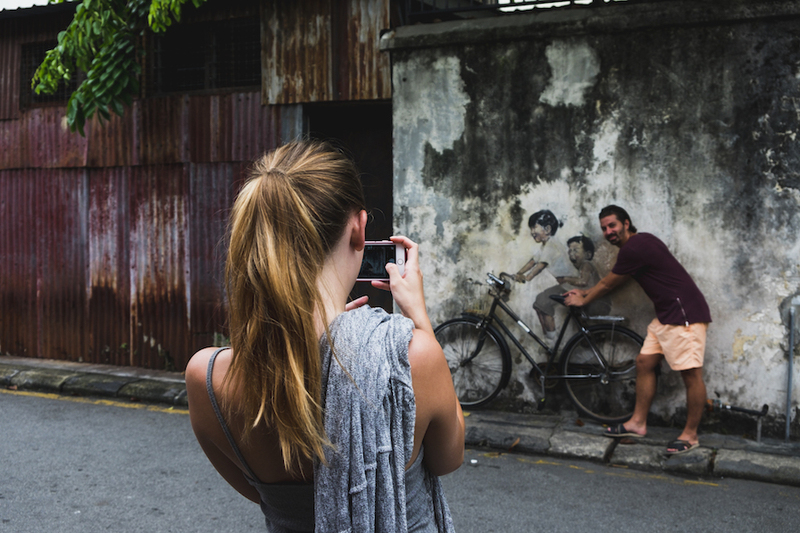 This is one example how we queue just before this couple to take a photo of the street arts. More people queueing behind us. Once started, you can never go back. We’re dedicated to finished our mission (street arts), shoot our gun (camera), and have the victory (fun). Nice! One street arts after another, we’re really deep into it now! Might as well do some street photography. 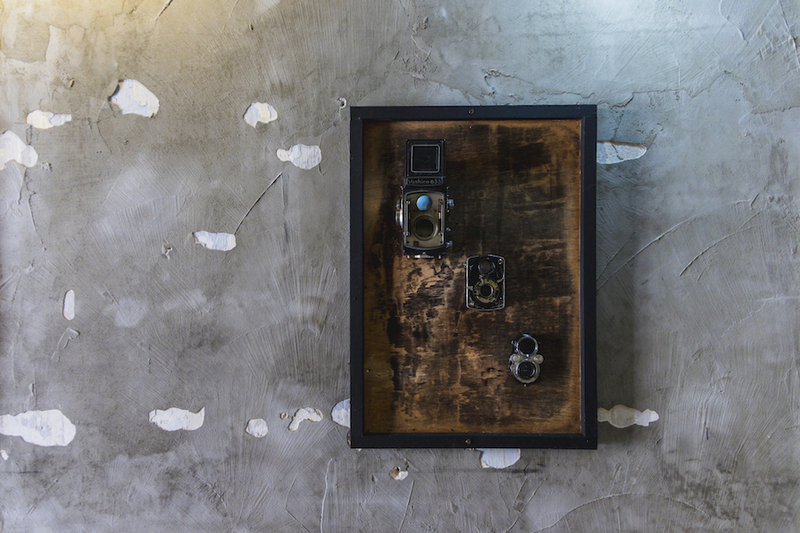 That’s just us with our travel photography genre. WDJV style! 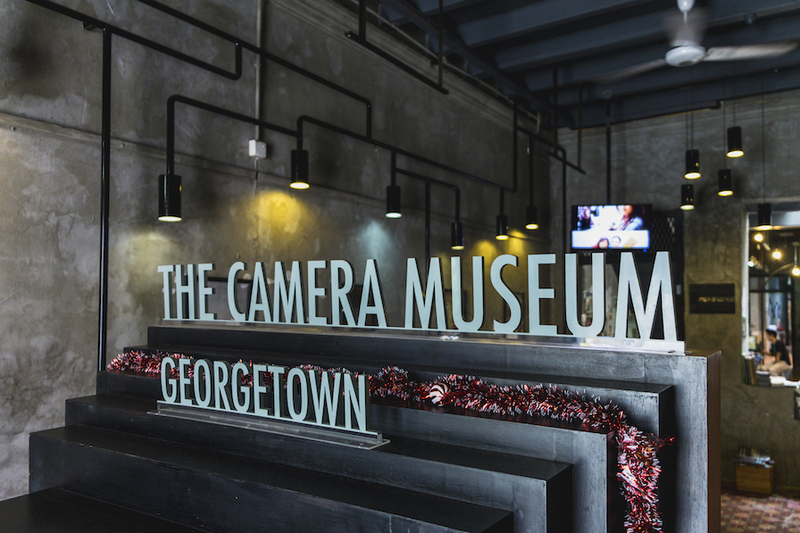 The entrance fee is quite a bit more compared to other museums, RM 20/person. 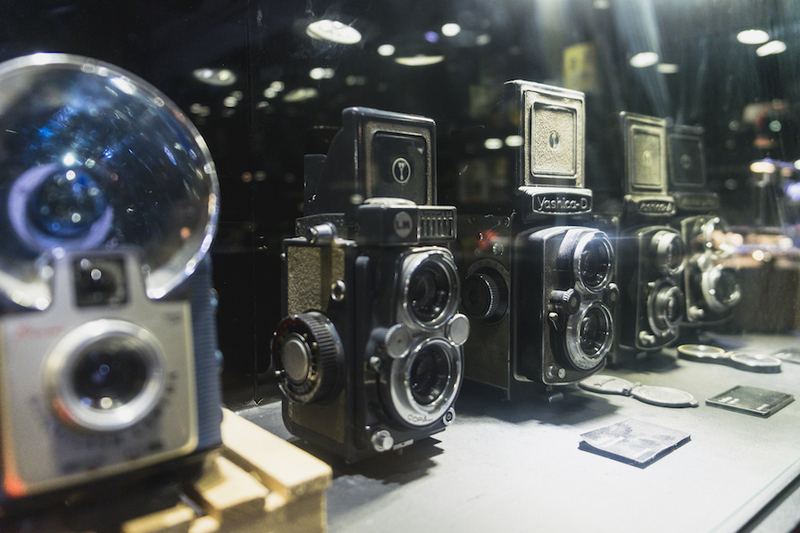 But here’s some photo from The Camera Museum. We did finish photographing all the street arts that we want to take. 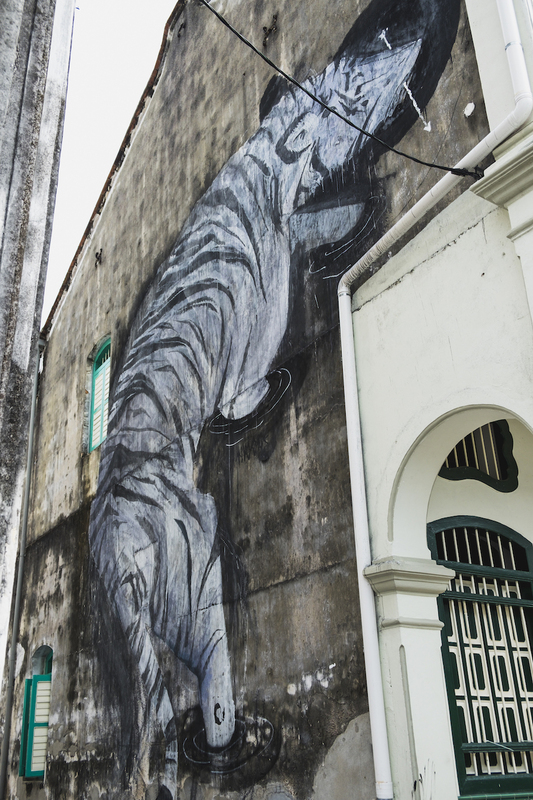 By the time this journal published, there might be more street art than when we had our trip. Our last day we find the rest of our list and strolling around looking for souvenirs. We also had a short visit to Chew Jetty area. 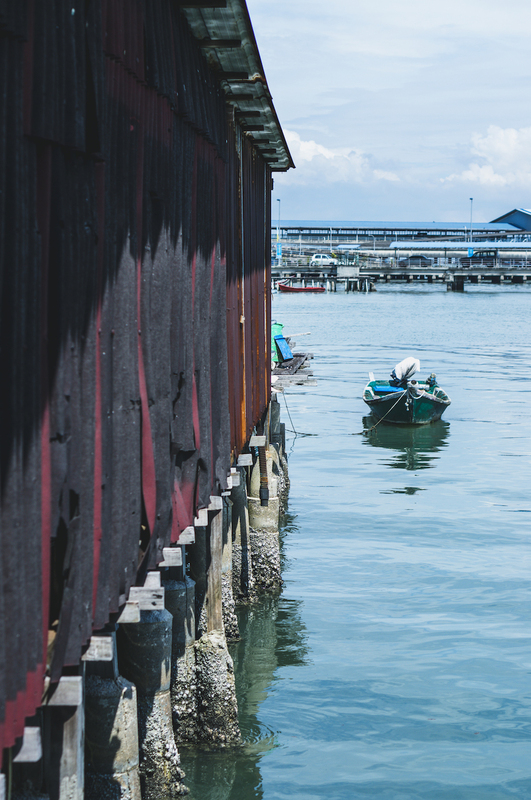 The Chew Jetty is a whole settlement of wooden houses built on stilts and the name “Chew” is the surname (the first name) of the residences. This community born and live here for more than a century now. 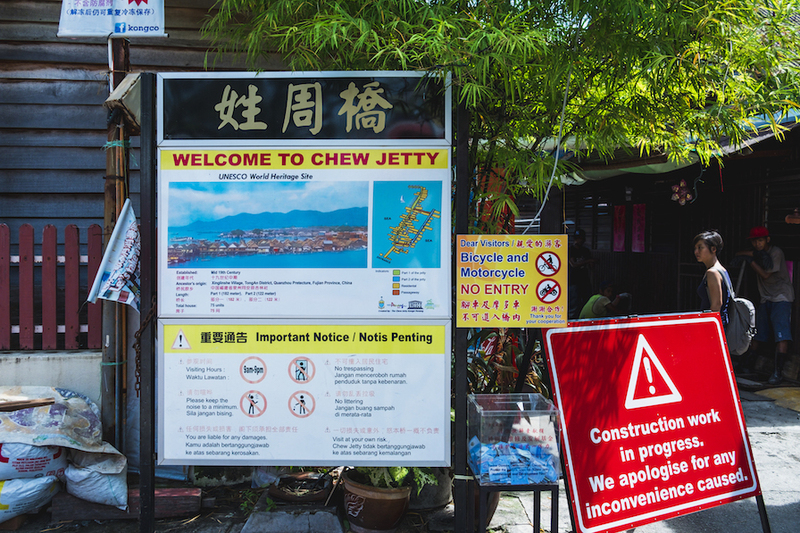 Tourists usually always have the chew jetty in their itinerary. We find it fascinating, too. 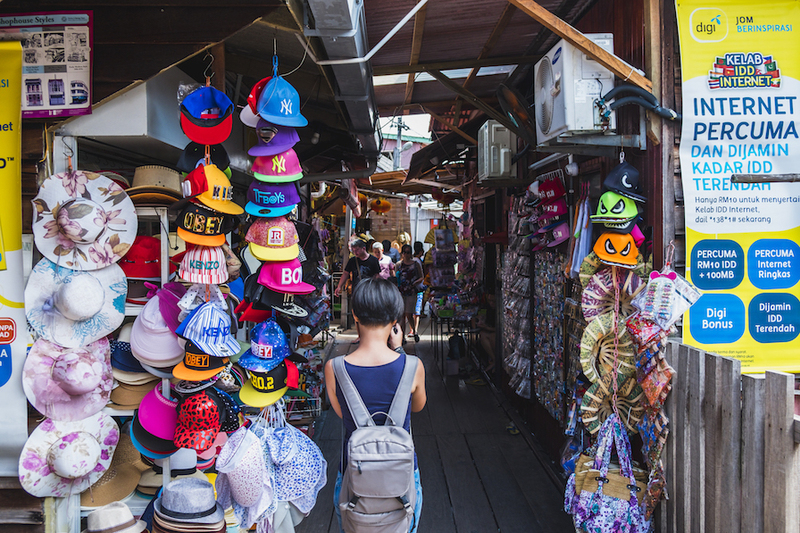 You can shop some souvenirs from Chew Jetty to support the community who lives there. 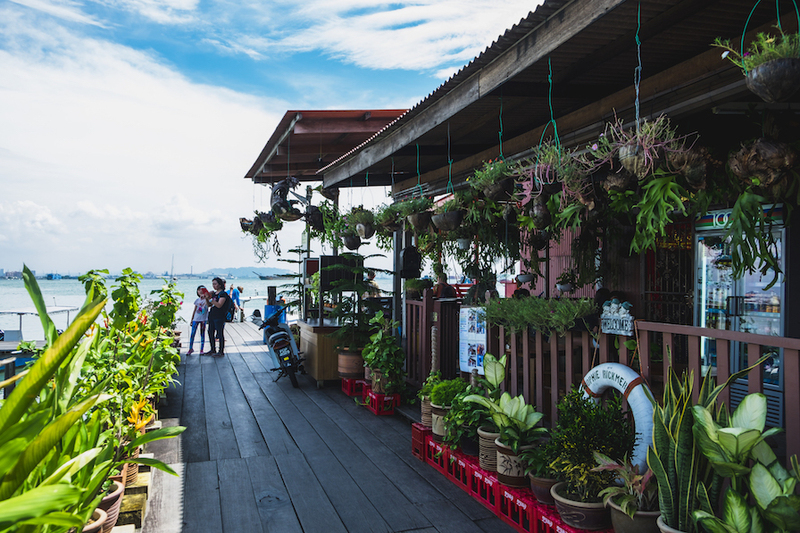 Because it’s a very common thing for tourists to visit this place, most of the families in Chew Jetties depends on income from tourists. 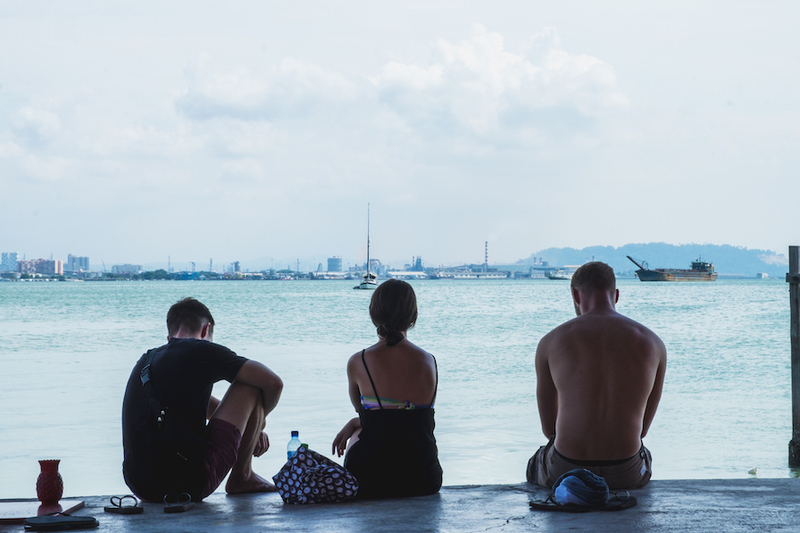 At the end of the jetty, we find a blue calming panorama view of the port, the blue water, and the horizon. You can see the bridge connecting the mainland peninsula with the Penang Island too. It’s the third longest bridge in the world, so they said. If you’d like to experience more authentic and traditional lifestyle as a part of the culture of the clan that lives here, you can opt for a home stay. I don’t know, for me, this is just good for a short visit. For a stay, I’m not sure, though. Do you have any idea how freakin’ hot it is during day?? My skin was melting. Anyway, these are some photos from Chew Jetty. 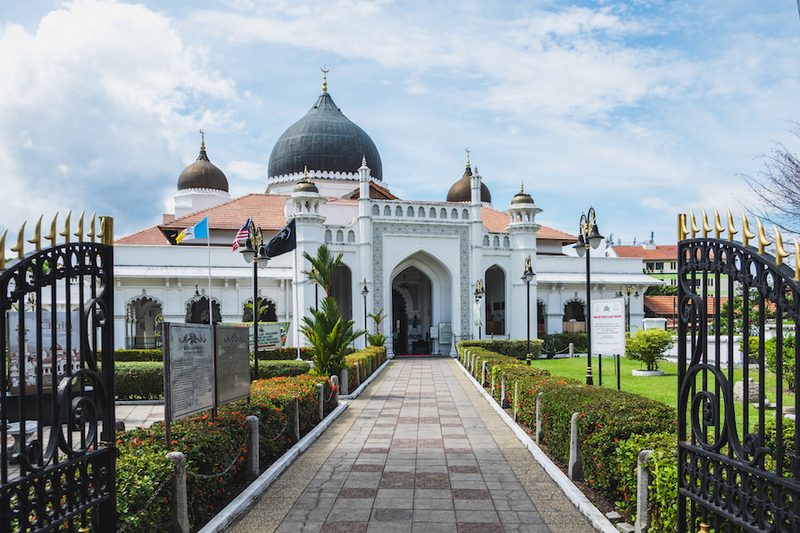 On our way back to our hotel, we passed this iconic mosque in Penang. One of the best known. 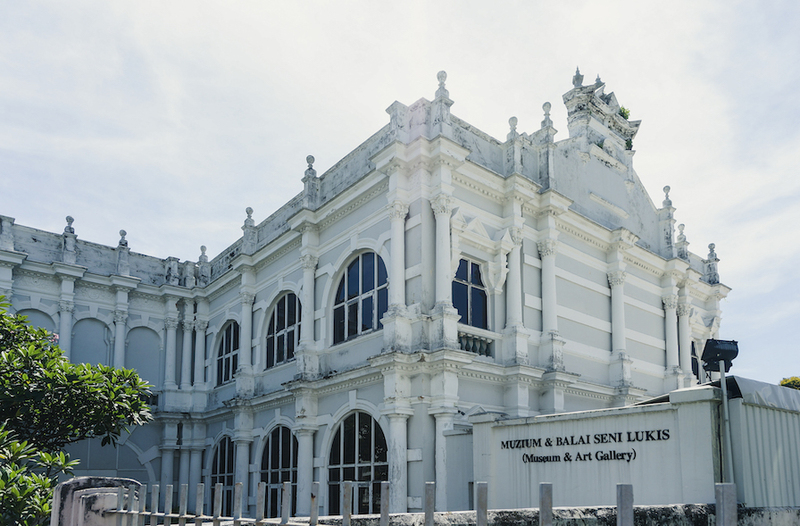 It used to be a state mosque before the Penang State Mosque exist since it’s the biggest mosque in Penang. This is an old mosque, built around 1800. 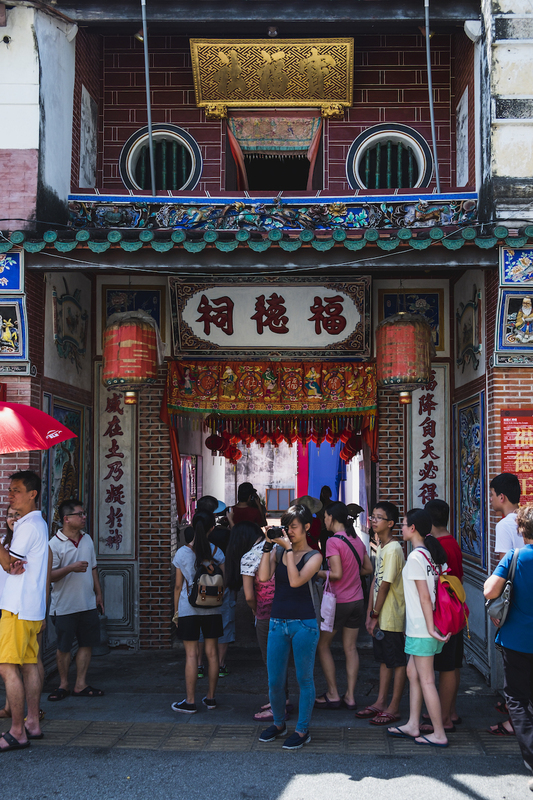 Although not as many tourists as other attraction, still this is one historical part of the rich Penang culture. This mosque was the last one we photograph on our trip. We’re going back to the airport with the bus from Chulia street. You can find the bus to the airport easily, just look for the sign “airport” in front of the bus. All buses usually transit in Komtar. Depends on where you stay, you can try to find the closest one to your place. 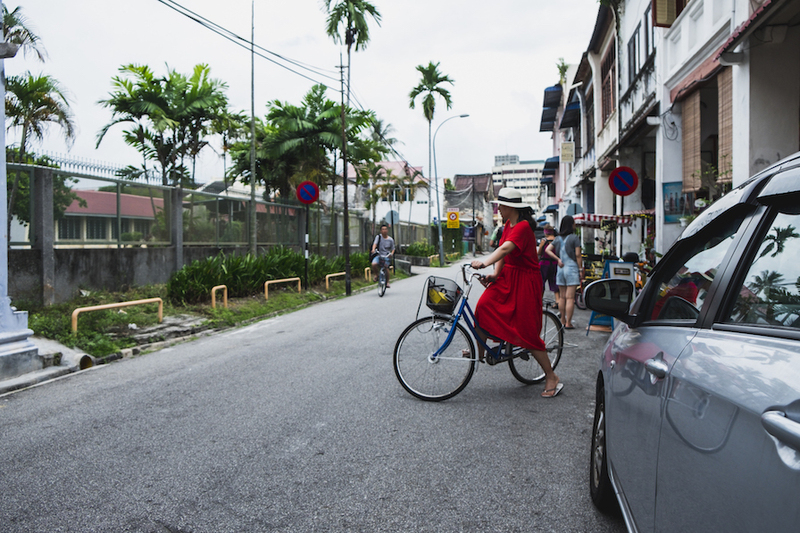 To close this journal, we are enjoying Penang for sure. 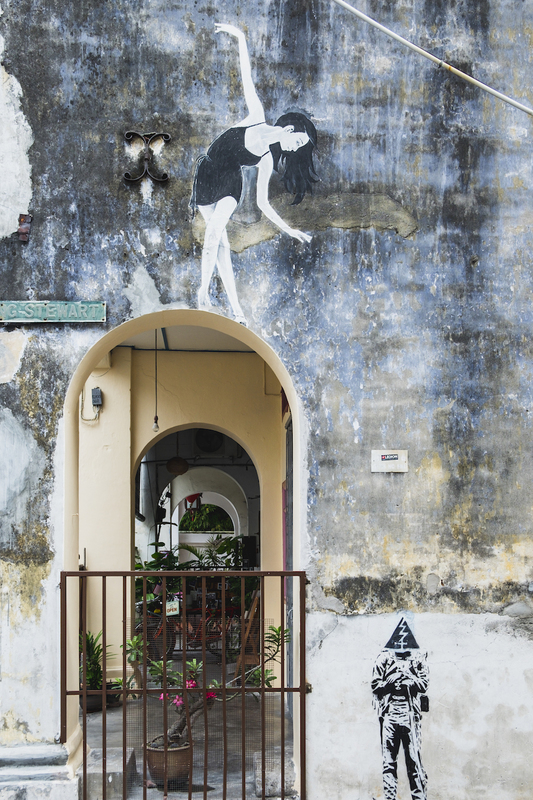 The number one fun part from visiting Penang was the Street Art hunt, hands down. We also enjoy the food very much. Not only they are tasty, but they also very cheap. 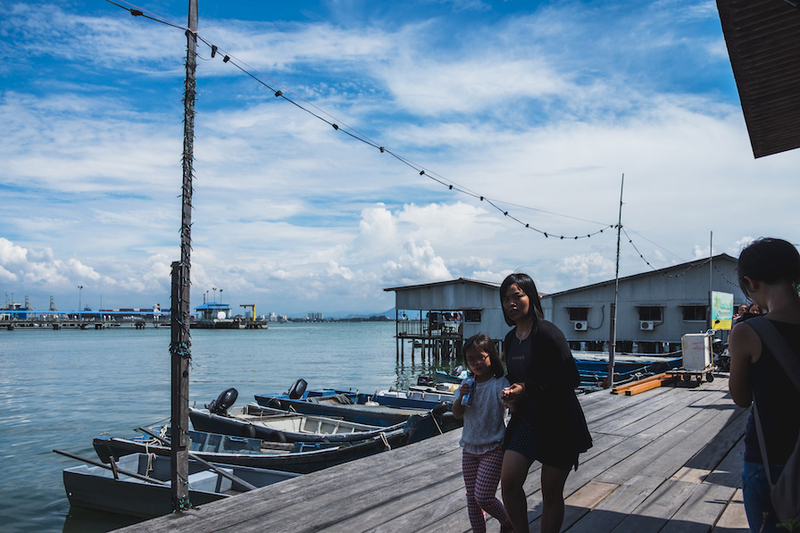 Due to our limited time in Penang, we only manage to explore just a bit of Penang. We get 60% of our plan for this trip. 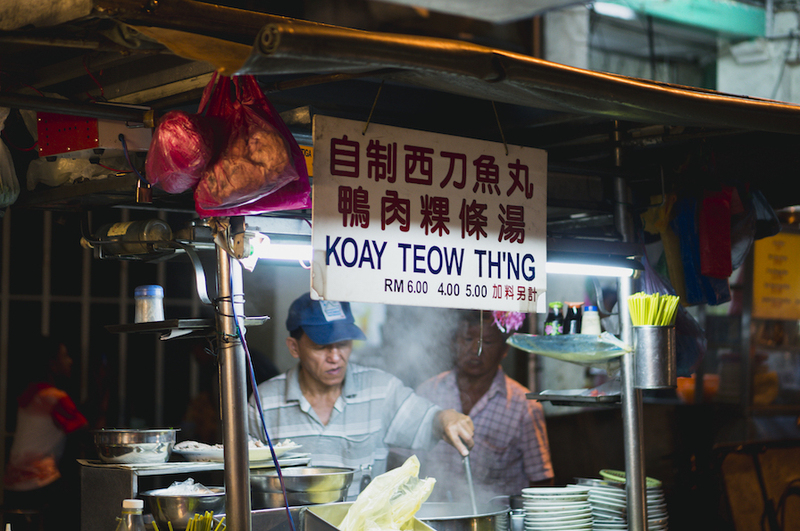 That will be everything for now from our Penang travel journal. There’s still a lot more to share, it’s just tons of work before we can publish a content like this. Bear with us, we’ll try our best to share a lot more information from Penang. Be sure to subscribe to our mailing list and share this post with your friends! Until next post, bye! 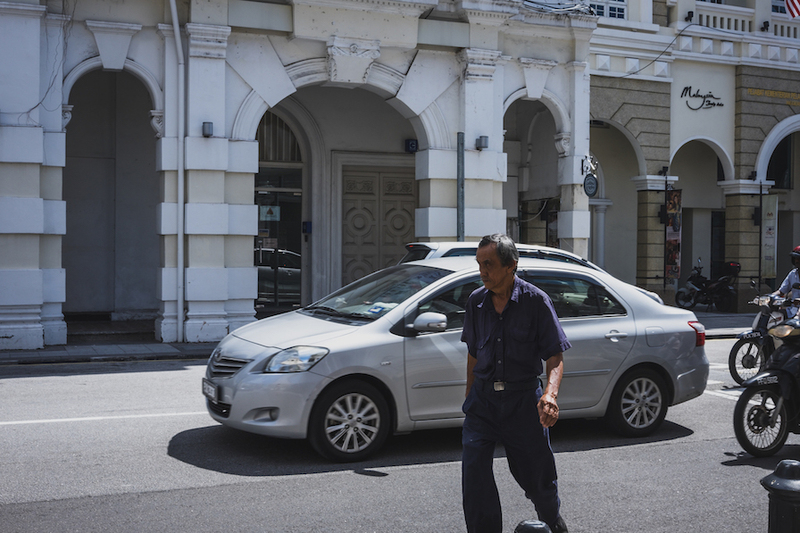 Explore George Town with a guided half day tour for only $19 or an heritage tour for $27. This is our full itinerary map from Penang trip. I will keep updating this map with a more appropriate icon and colors. Be sure to visit again.